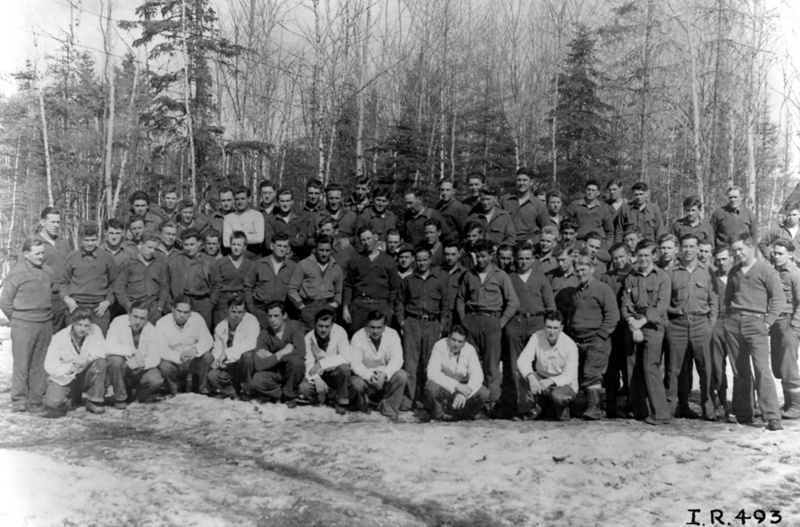 Group photo of Camp Siskiwit CCC boys, NVIC-30-209, ISRO Archives. 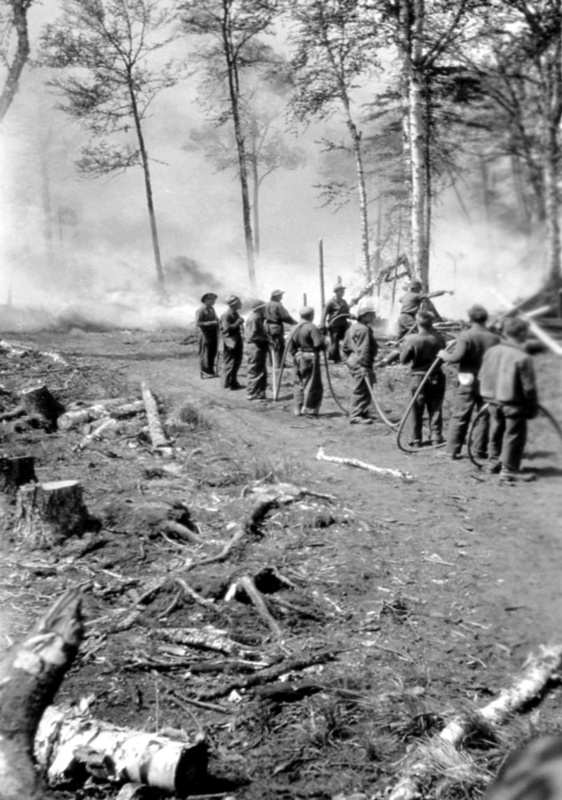 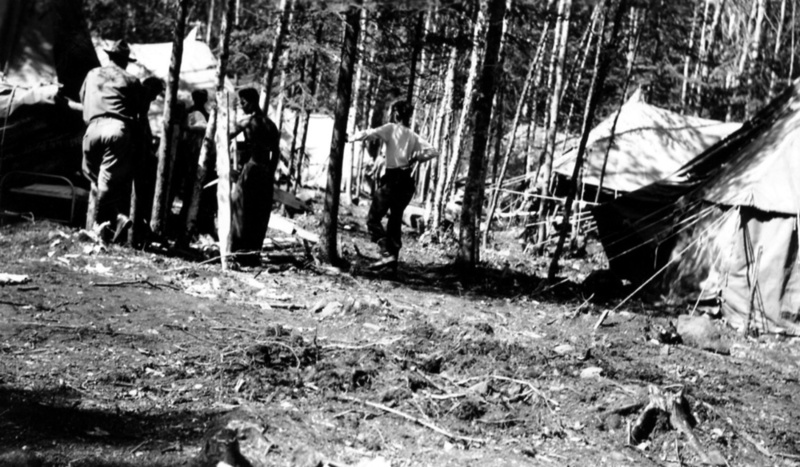 n 1935 negotiations were initiated by the National Park Service for acquisition of Isle Royale private lands and President Roosevelt approved the establishment of Civilian Conservation Corps (CCC) camps on the island, allocating $600,000 for the program. 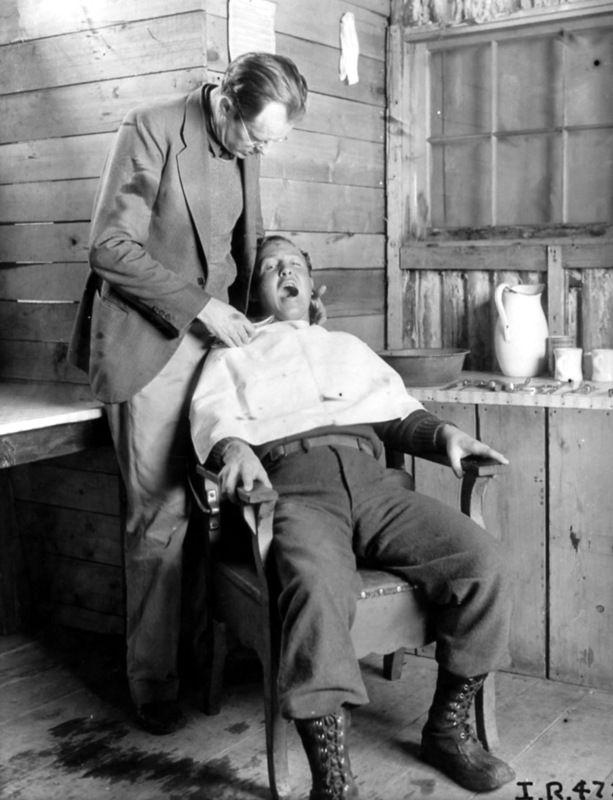 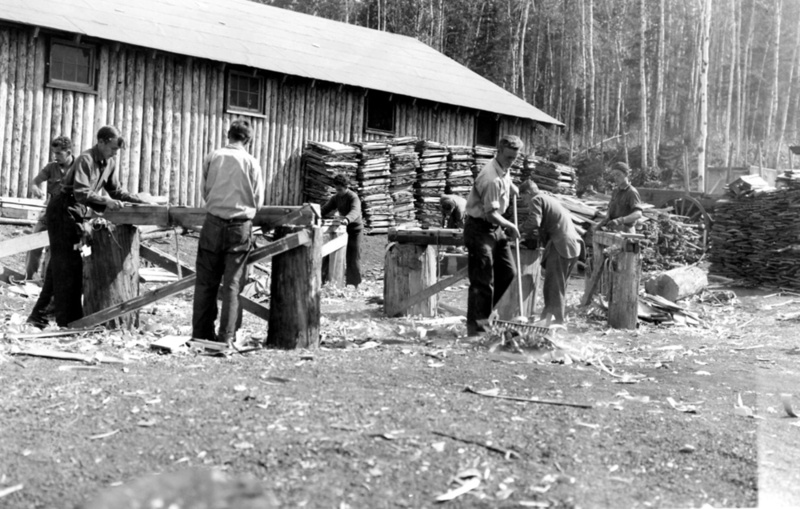 The CCC program was one of several federal work relief programs created as part of the New Deal, which provided social and economic opportunities, professional training and much-needed income to areas hit by the Great Depression. 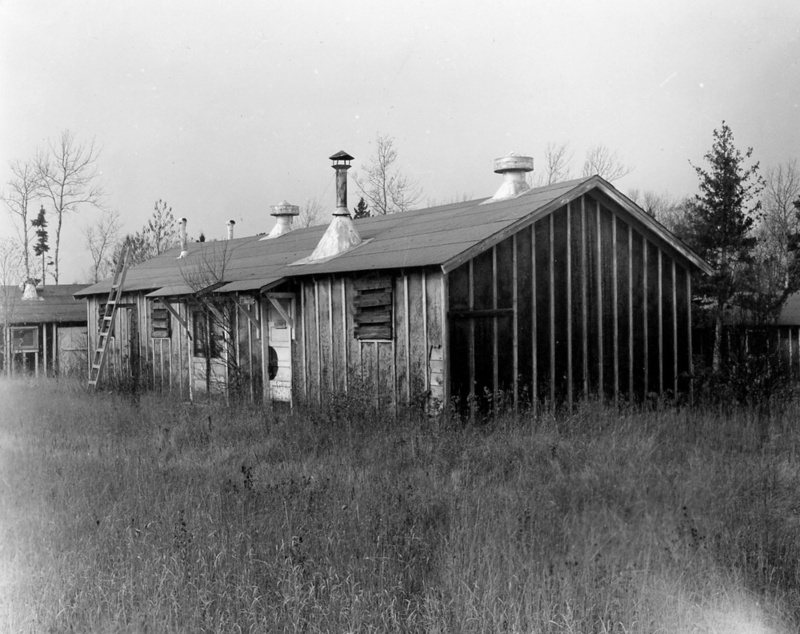 Between the years of 1933 to 1941, the CCC employed 102,814 young men in 42 camps located throughout Michigan. 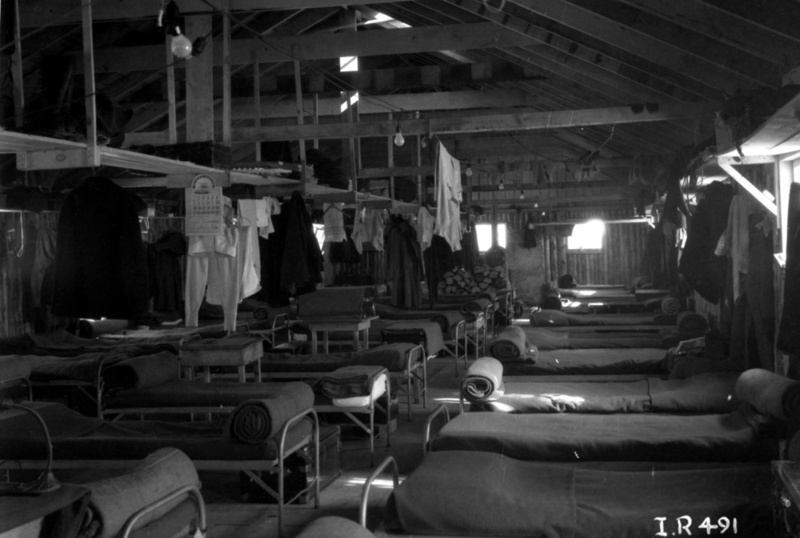 The Departments of War, Agriculture, Interior, and Labor acted together to recruit, house, and feed, cloth, and care for thousands of enrollees in "what became one of the largest mobilizations of manpower up to that point in American history." 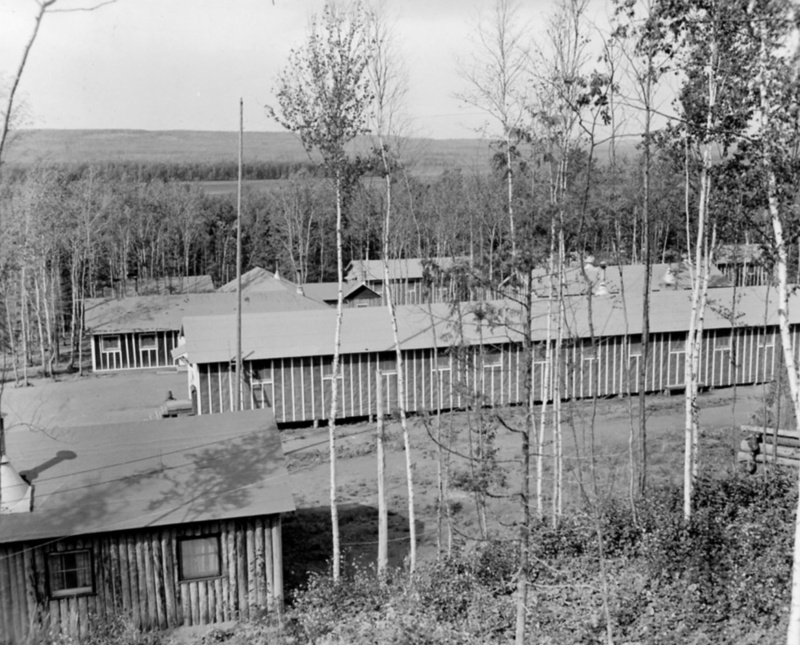 General and specific work plans were established by the agencies, which selected, organized, and administered the camps in a military-like manner. 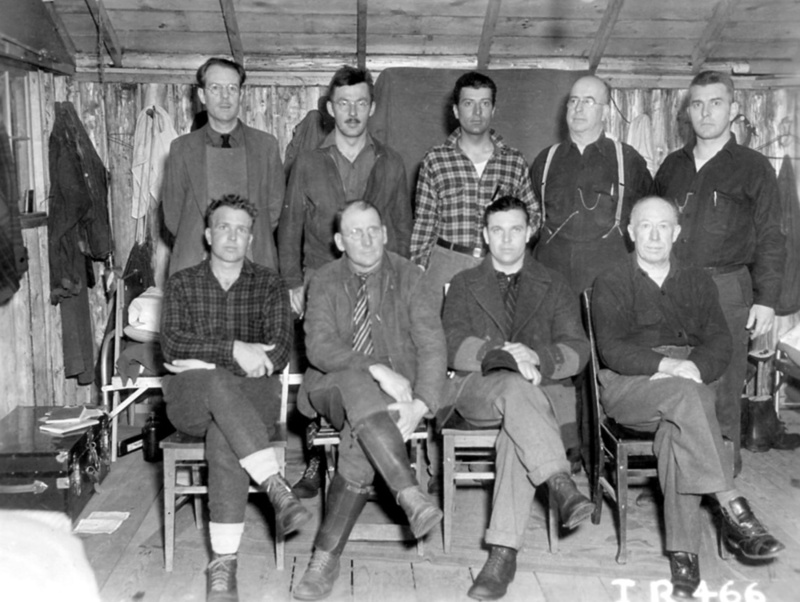 Responsibilities of the CCC enrollees included forest fire prevention, flood control, and soil erosion containment; tree planting and implementing improvements to state and national parks and forests; eradicating insect pests; and wildlife management on federal lands. 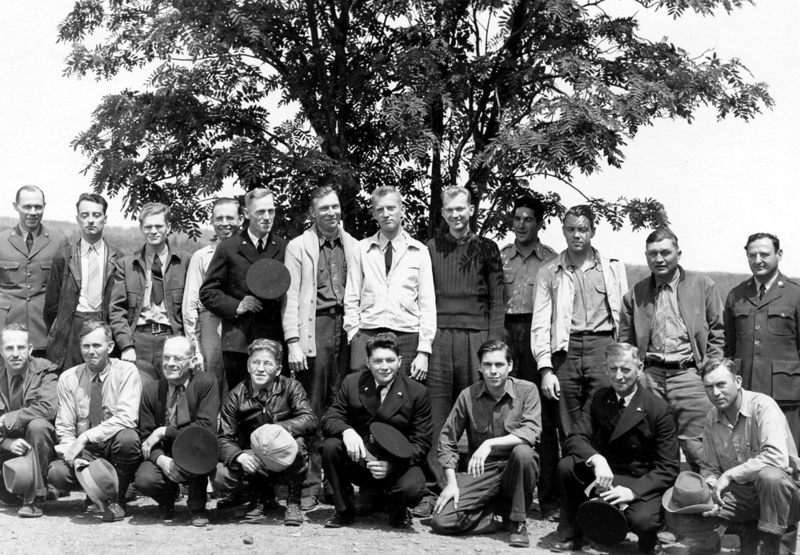 CCC volunteers were required to be between the ages of 18 and 35, stand five feet to six feet, eight inches tall, weigh at least 107 pounds, and have no less than three teeth. 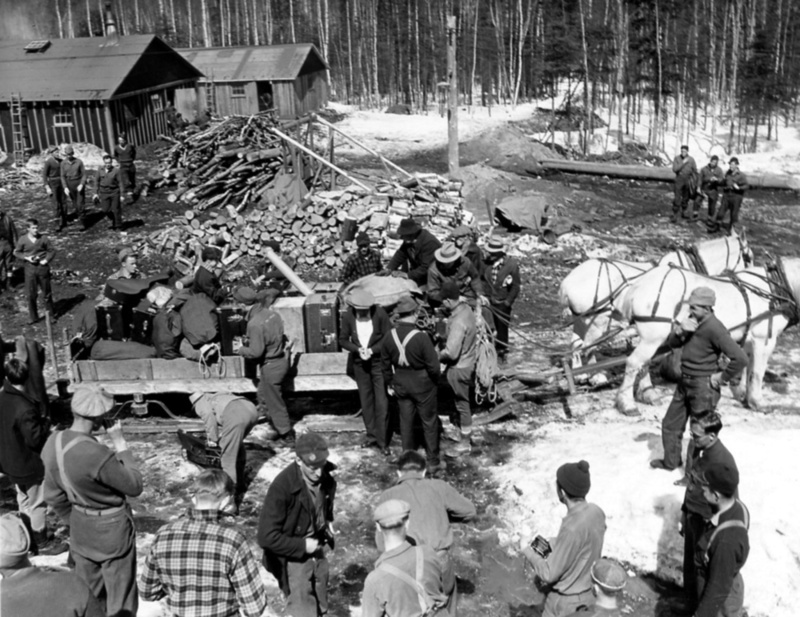 The federal treasury provided each individual with $30 per month ($25 of which was to be sent home) for no less than a six-month enlistment period. 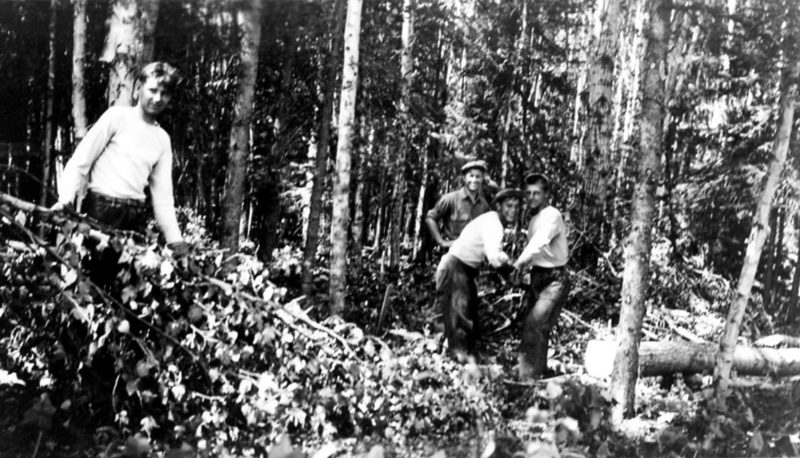 The CCC work was scheduled to begin on Isle Royale as soon as the National Park Service held title to the island's private lands. 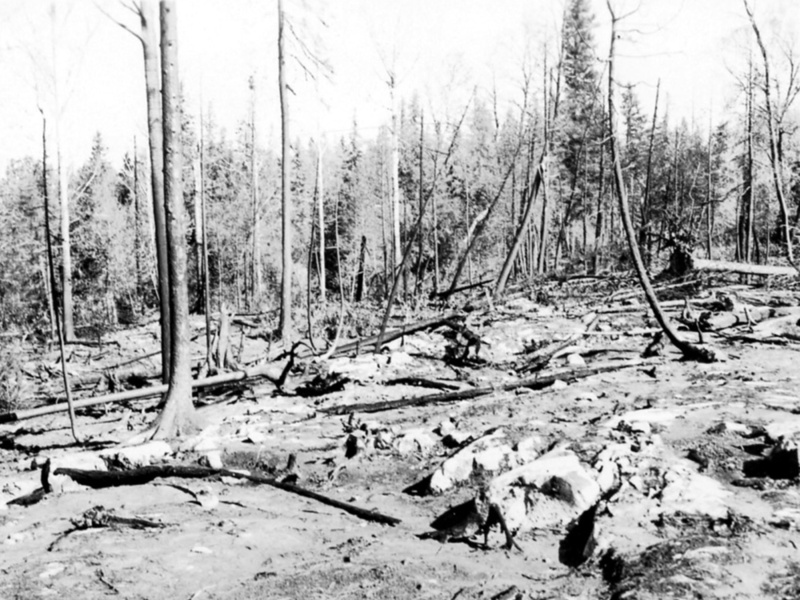 In turn, the National Park Service received a little more than a half-million dollars from the New Deals National Industrial Recovery Act for purchase of lands for parks. 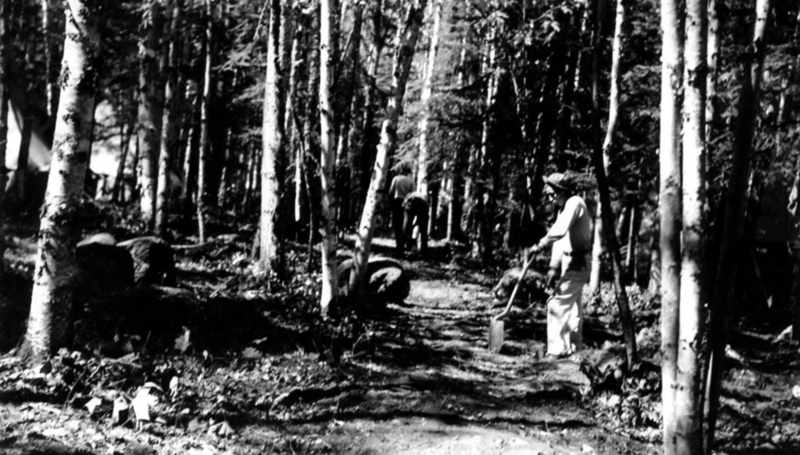 On August 6, 1935, President Roosevelt signed the Executive Order to appropriate $705,000 to be applied to Isle Royale Park land acquisition. 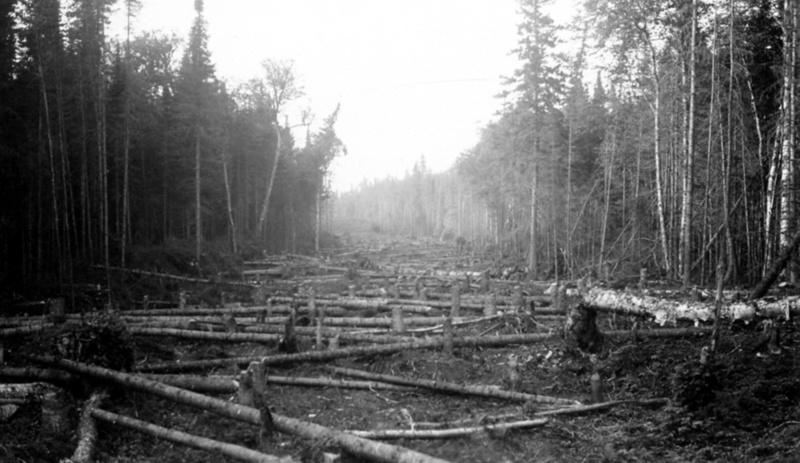 Federal acquisition of Isle Royale lands would prove to be a long and difficult process. 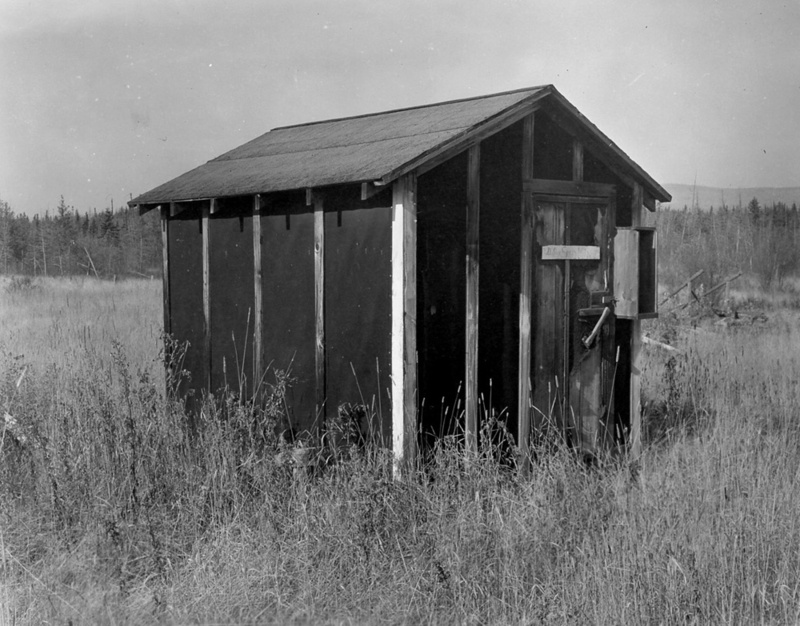 Private property owners, and even those people who did not legally own property but had a history of land use on the island, were asked to donate or sell their holdings to the Park Service for one dollar per acre for mineral rights and four dollars per acre for surface rights for their lands. 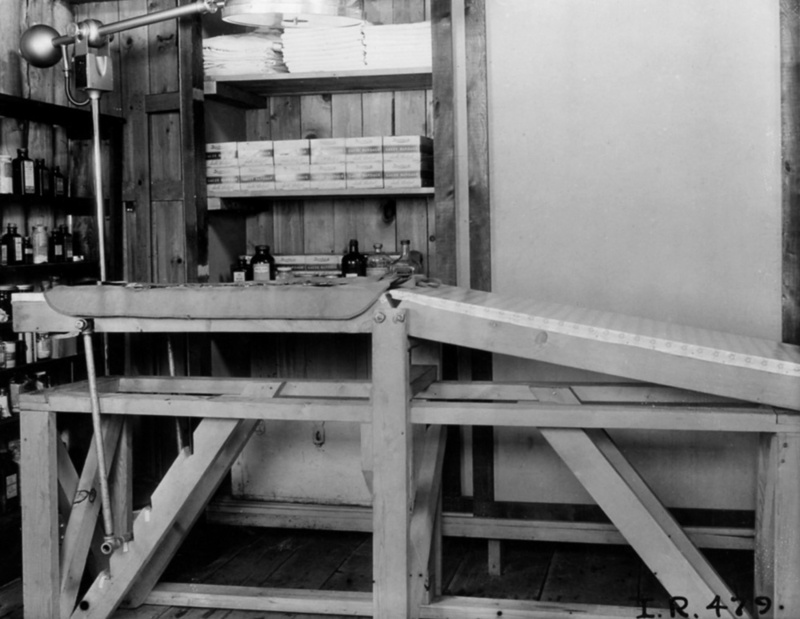 Approximate increases were allowed for structures and other improvements. 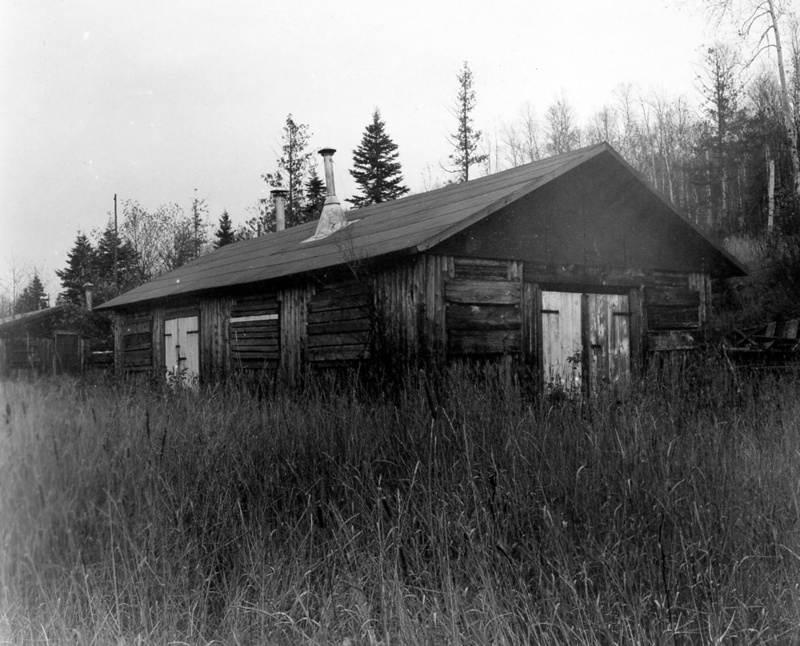 Property owners were offered life leases in return for the donation of their properties. 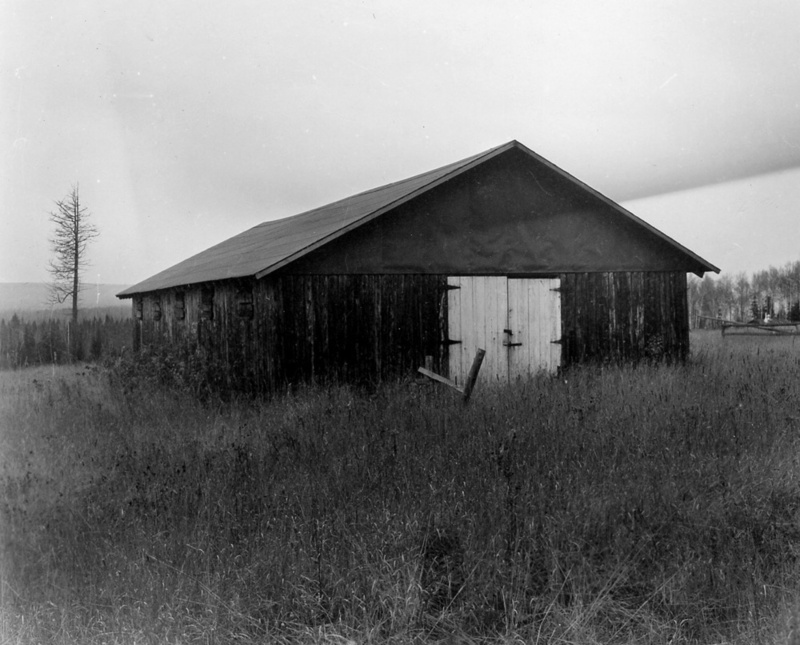 The inclusion of children and grandchildren onto life leases occurred in only three instances, to those few that were insistent, and sought legal counsel. 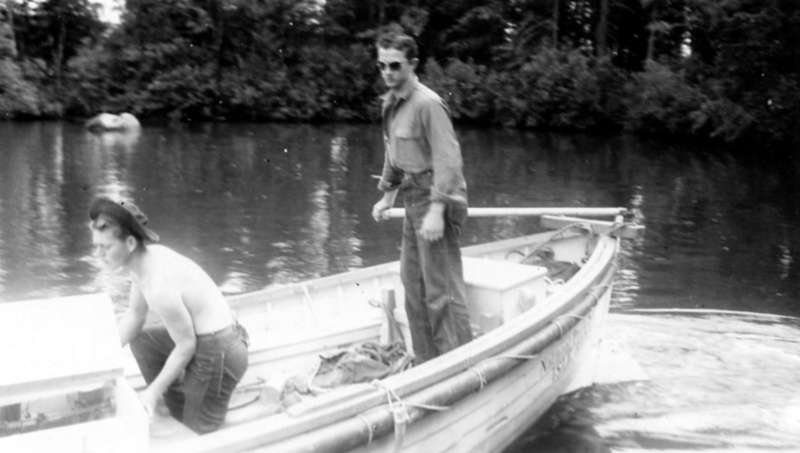 Special Use Permits were offered to resort owners and fishermen. 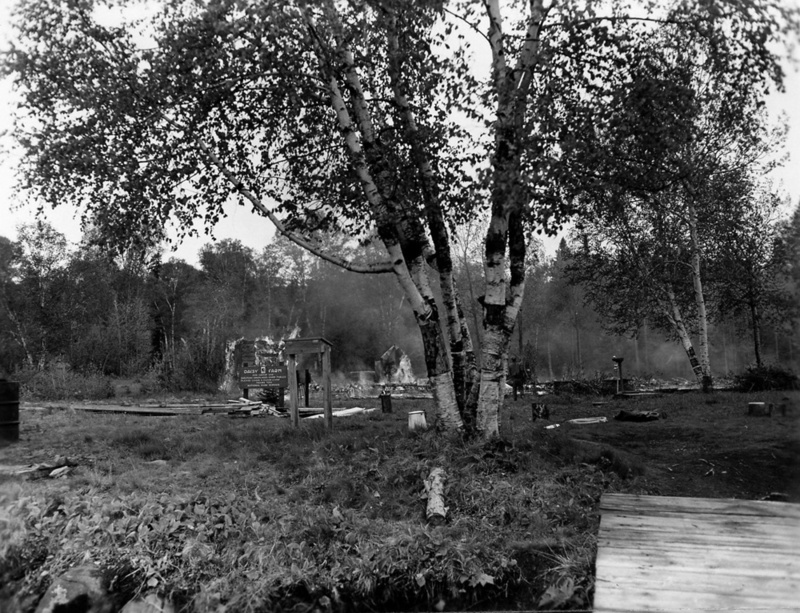 Many of the summer residents and fishermen accepted this offer, but the resort owners sold their property outright. 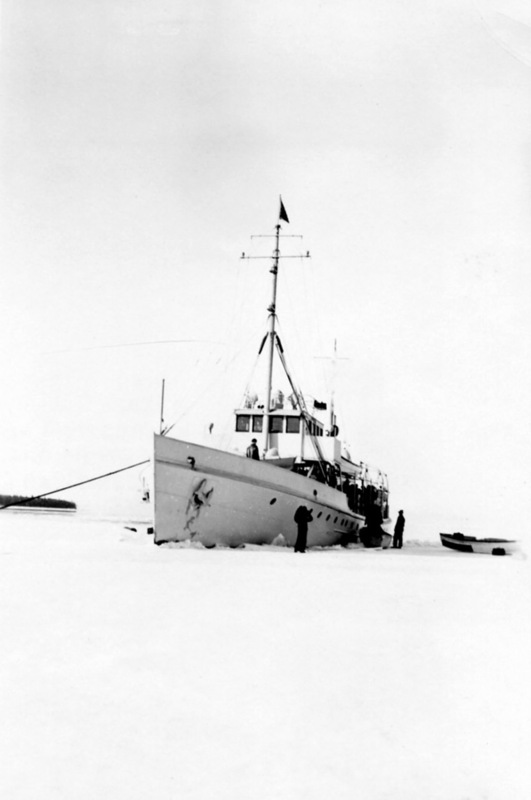 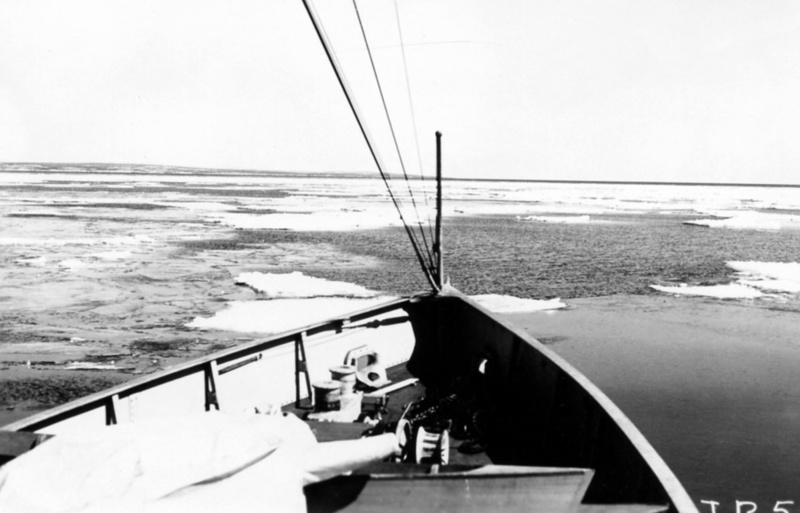 In planning for improvements and facilities on lsle Royale, the National Park Service consulted with University of Michigan zoologist Adolph Murie. 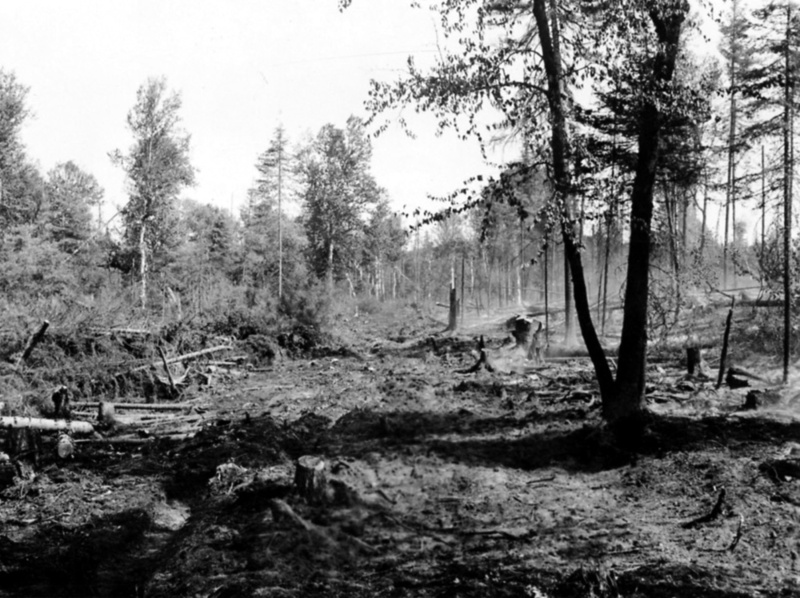 Murie visited Isle Royale in June 1935 and recommended that no new trails be cleared by the CCC, and all efforts be made to "guard against any sort of development which will reduce space or increase travel." 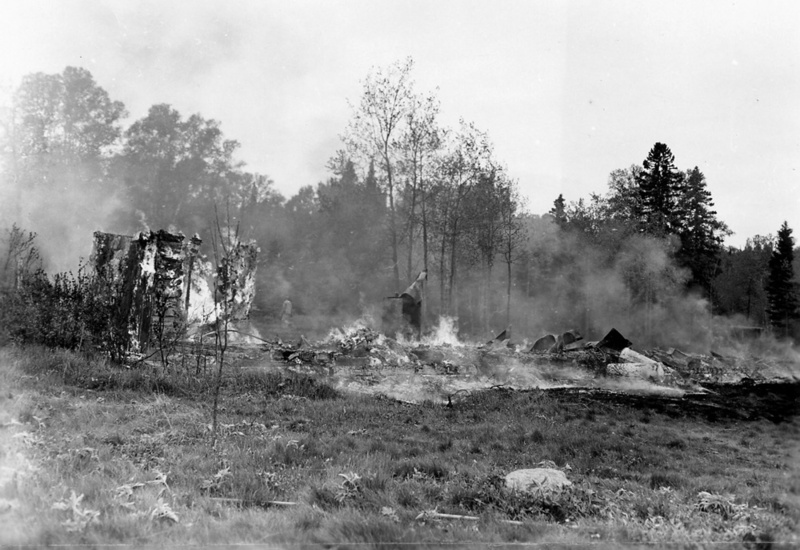 He also recommended that forest fires be allowed to occur on Isle Royale, but this idea was rejected, and instead, an aggressive anti-forest fire point of view was adopted. 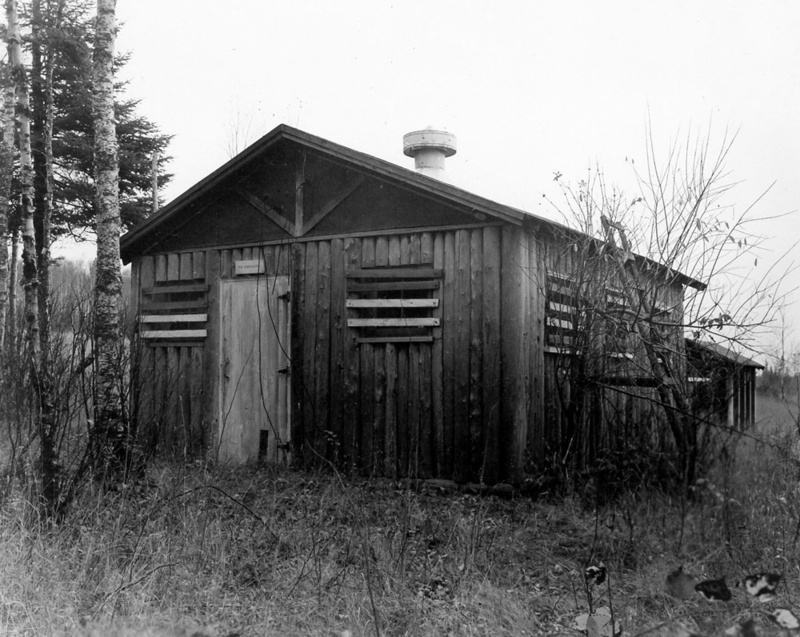 Interestingly, since 1935 many of Murie's concepts have guided park service management practices. 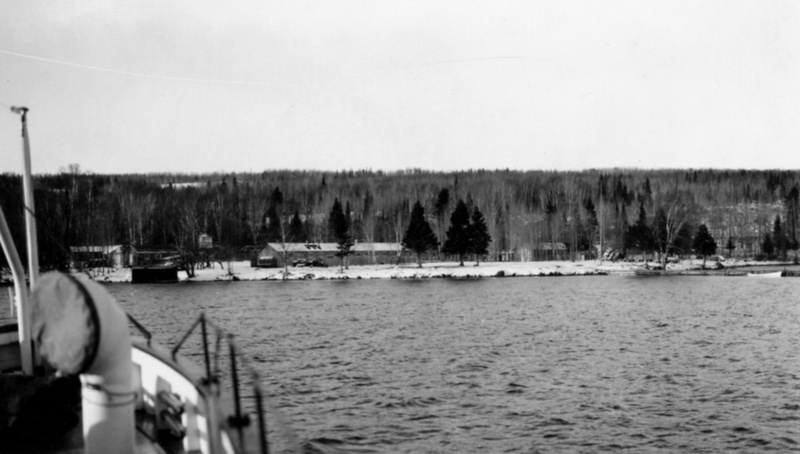 View of Siskiwit Bay CCC camp from water tower, 1938: J.F. 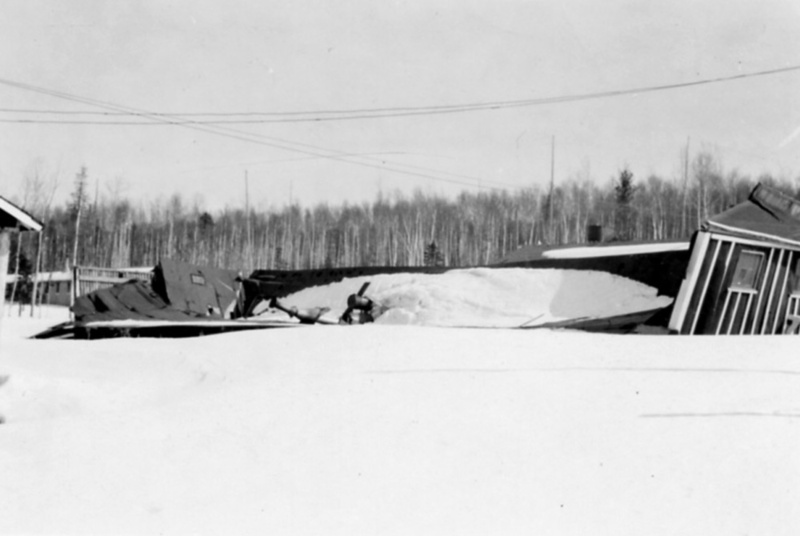 Kieley, NVIC-30-137, ISRO Archives. 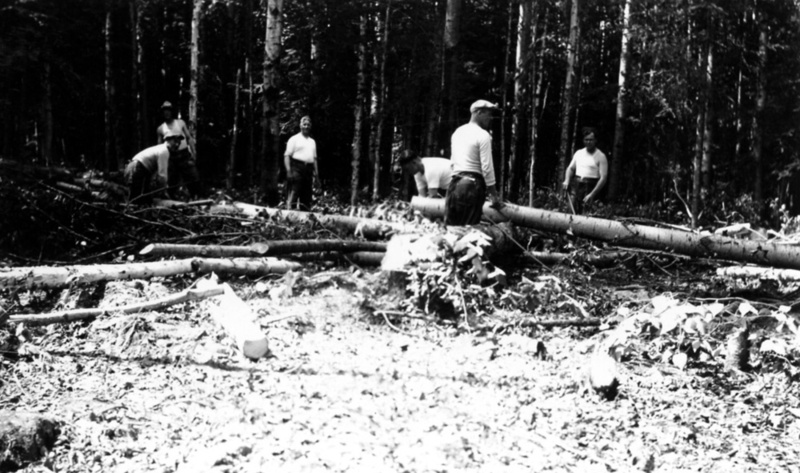 A follow-up committee defined specific CCC projects for the 1935 season. 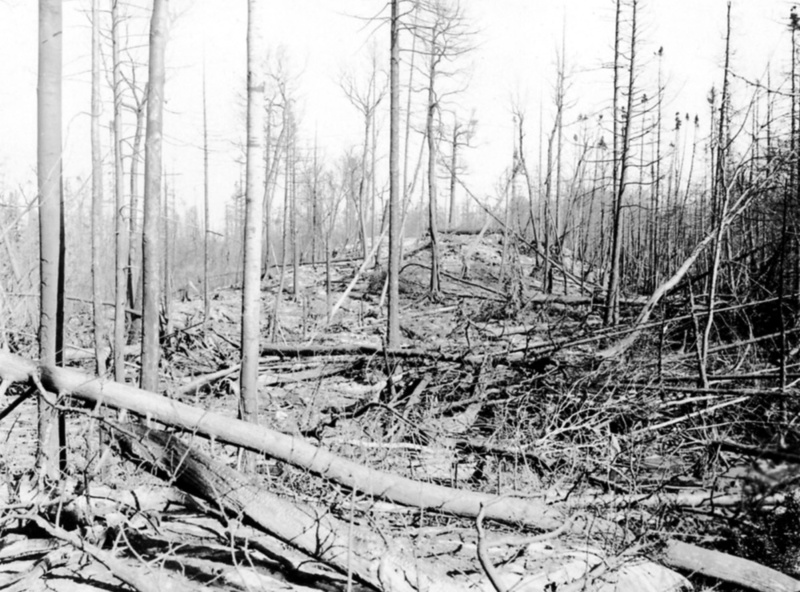 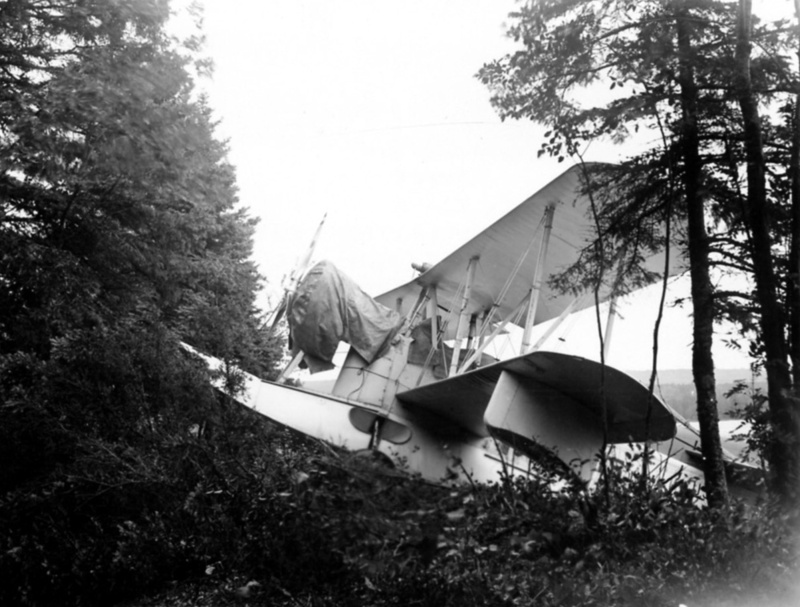 Projects were to include clearing the fire-prone timber slashings left by the George W. Mead Company's timber cutting operations near Siskiwit Bay, erecting navigational aids, initiating wildlife management, and erecting CCC base camps. 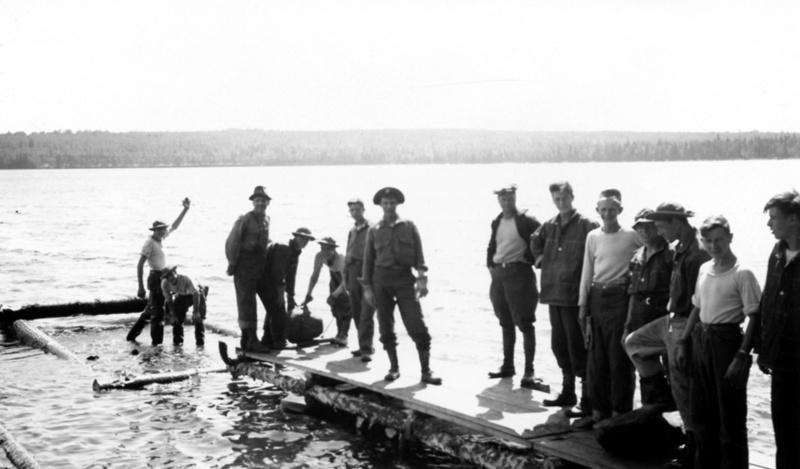 With these goals hurriedly set, nearly two hundred CCC enrollees and four officers came ashore at Senter Point in August 1935 to create Camp Siskiwit, the first of the three Isle Royale CCC camps. 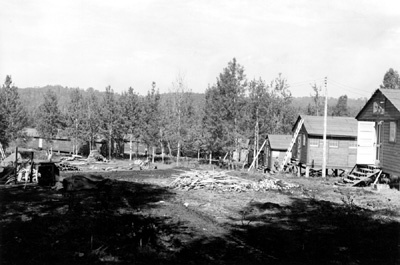 Camp Siskiwit (1935-1940) was built near the Mead logging camp. 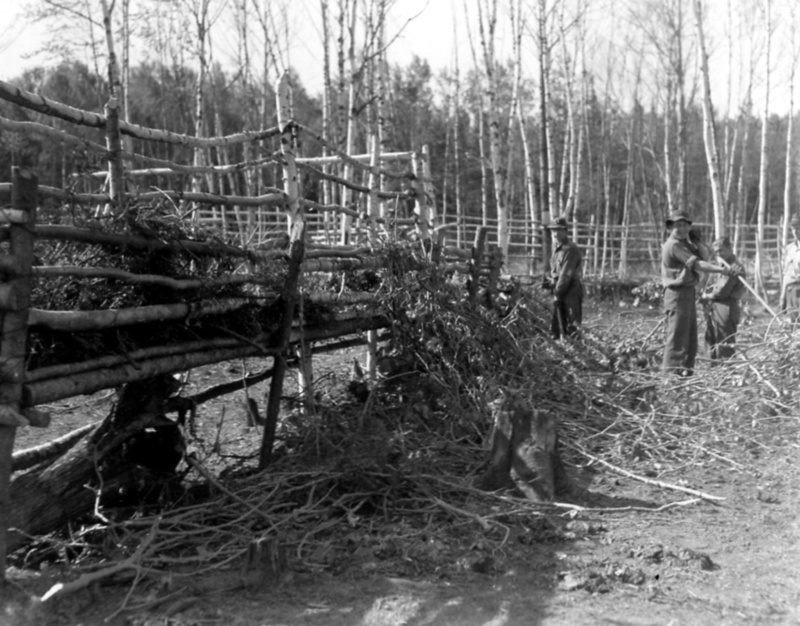 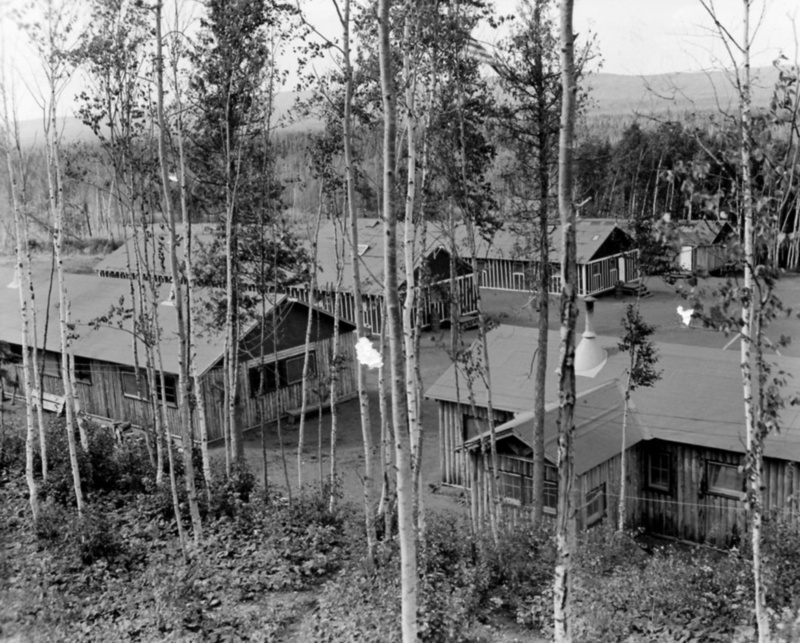 Over the next six seasons, two more temporary CCC camps were built to house enrollees. 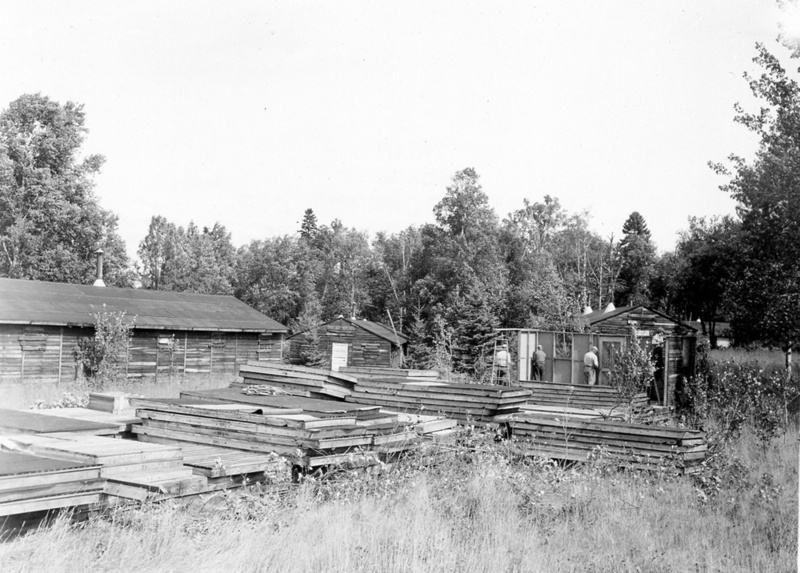 These were located at Rock Harbor at the Daisy Farm location (CCC Camp Rock Harbor, 1936-1941), and at Washington Harbor at the old Wendigo Mine site (CCC Camp Windigo, 1940-1941). 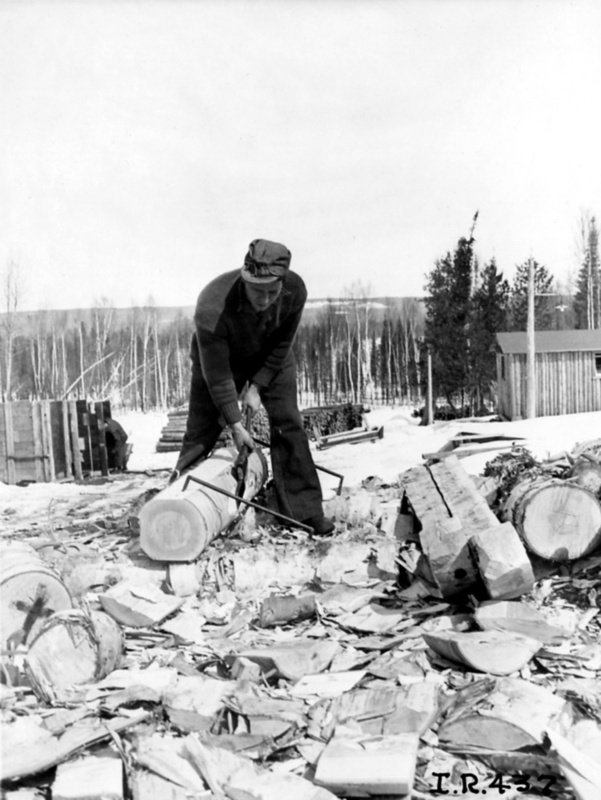 Working from these base camps and at smaller "satellite" camps, projects would be implemented by CCC enrollees at several locations around the island, including Windigo, Caribou island, Mott Island, and Rock Harbor. 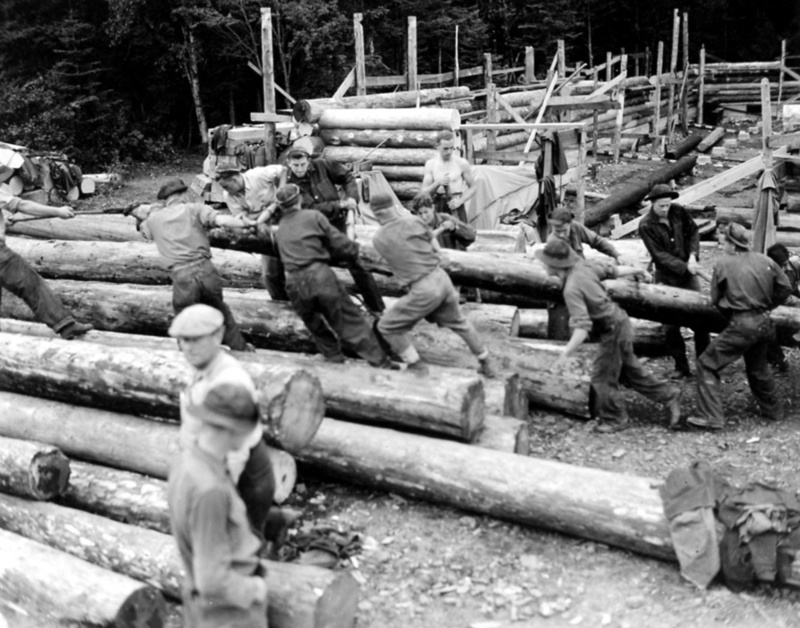 The CCC crews constructed Park Service administrative buildings, employee housing, recreational facilities, and also worked on trail development, the construction of docks, campgrounds, fire towers, and day markers that were used as navigational aids. 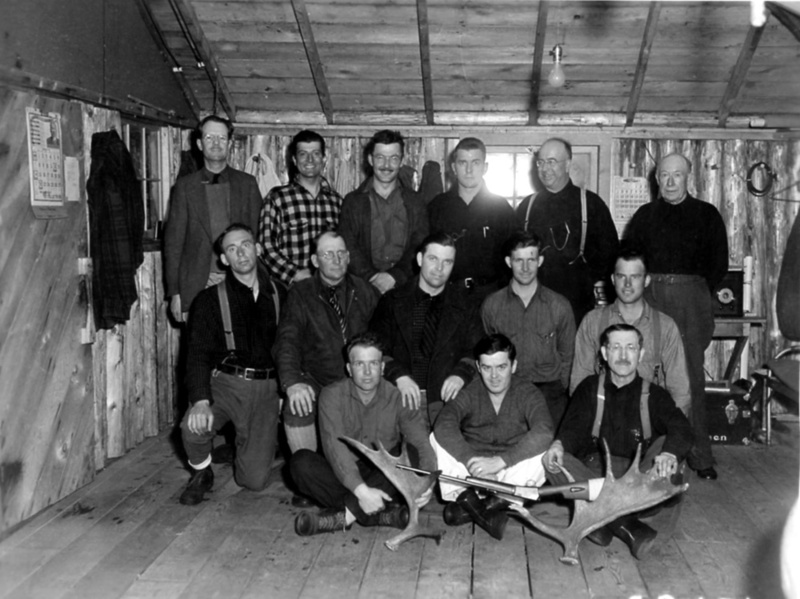 Additionally, the recruits conducted wildlife surveys, caught island moose for mainland repopulation projects, and fought forest fires. 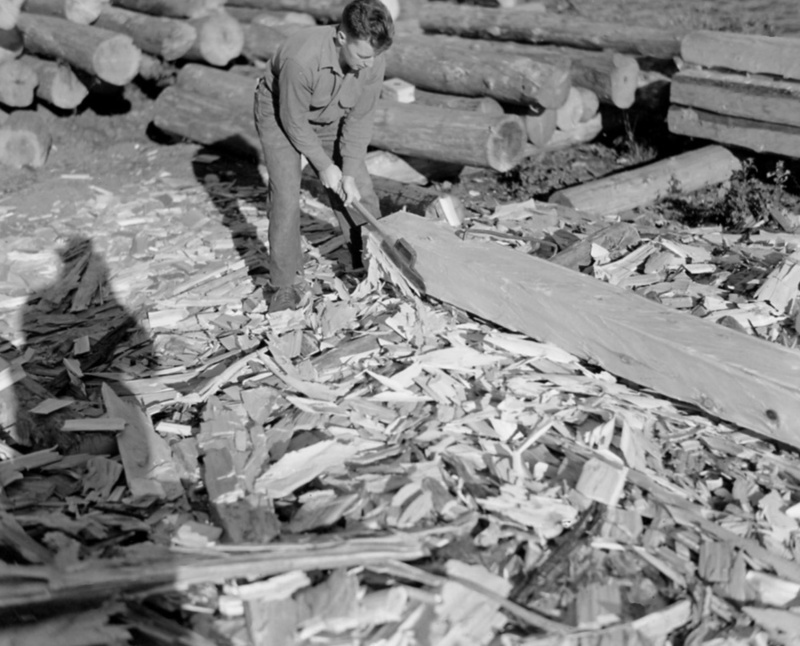 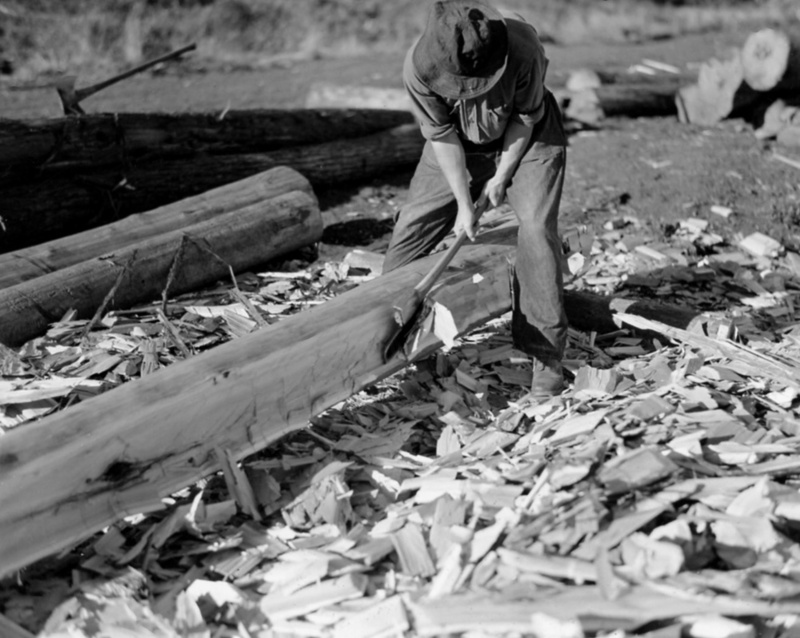 CCC boys manufacturing cedar shakes used in roofing the large warehouse buildings at Mott Island, NVIC-30-212, ISRO Archives. 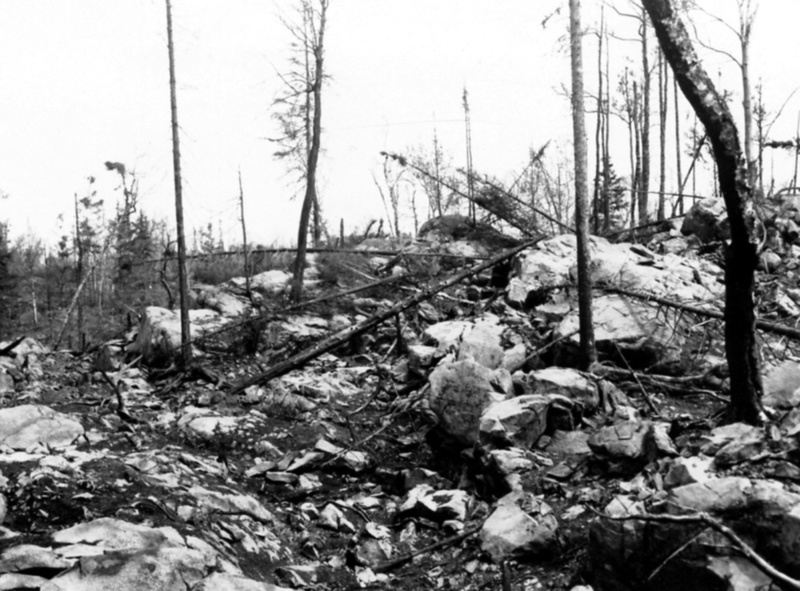 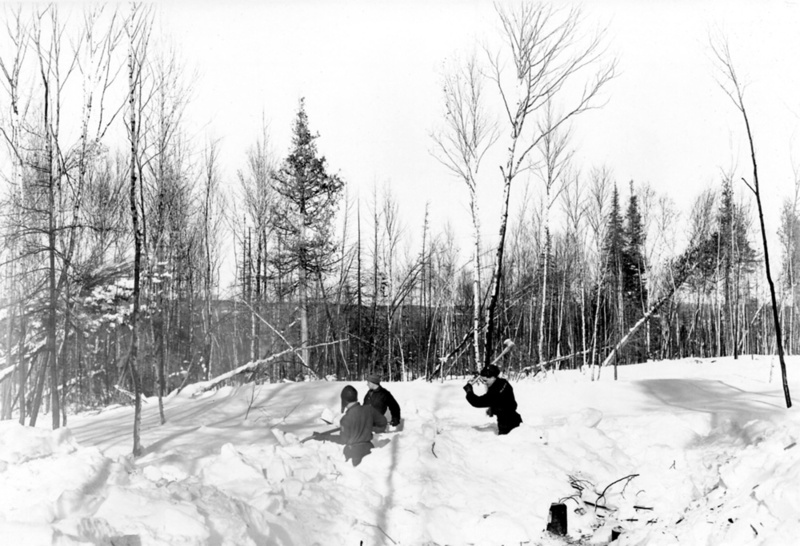 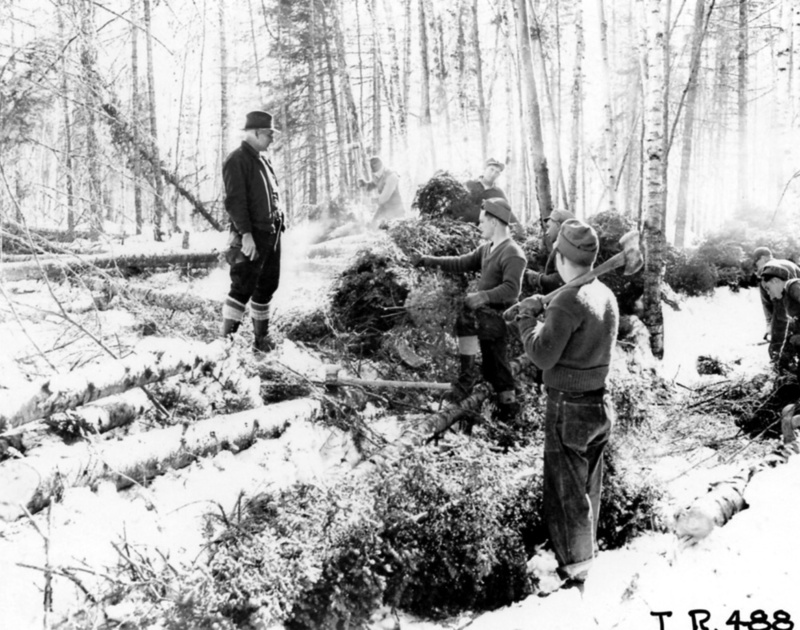 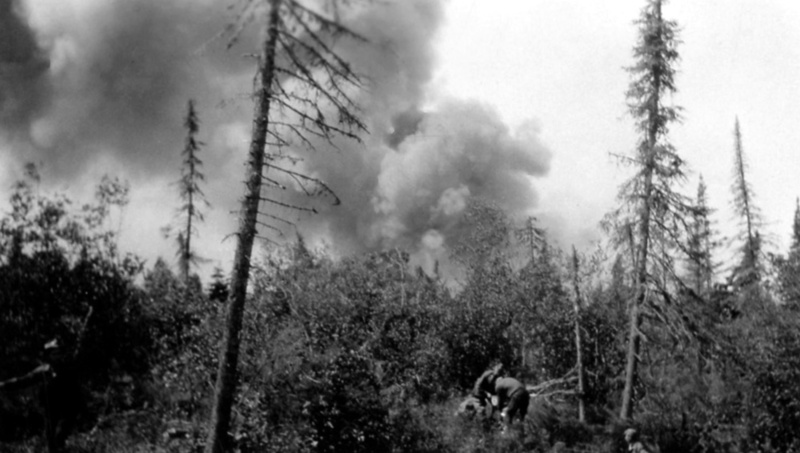 The Isle Royale CCC camps were designed for seasonal occupation. 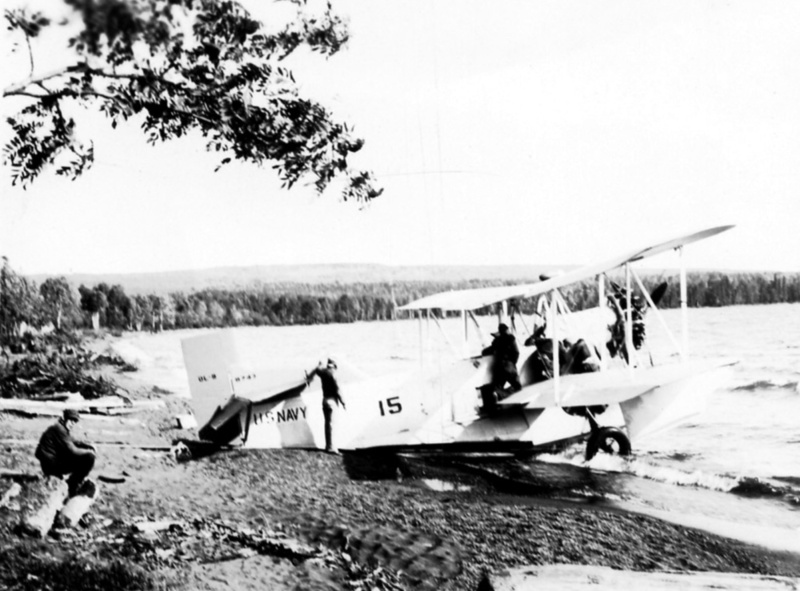 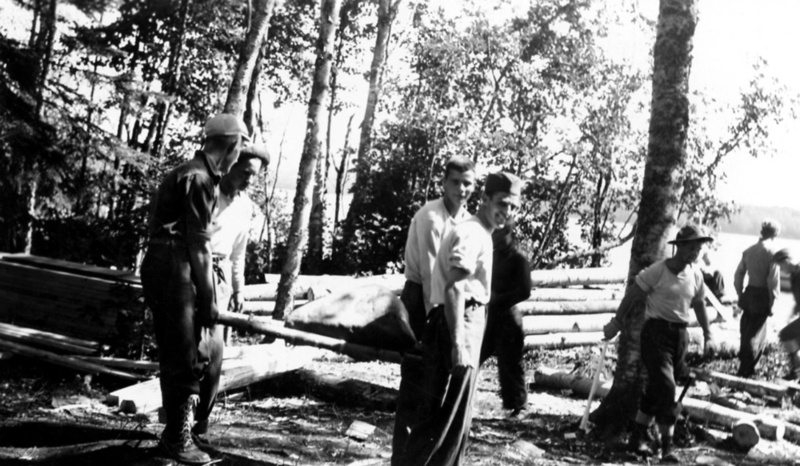 The CCC enrollees on Isle Royale were not provided with the usual social, physical, and intellectual outlets and activities that other CCC operations provided for recruits. 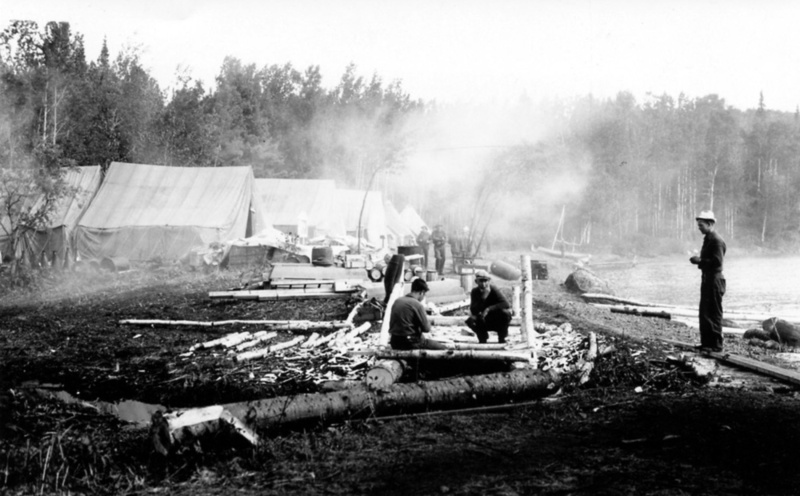 For example, enrollees on the mainland often had access to a nearby town. 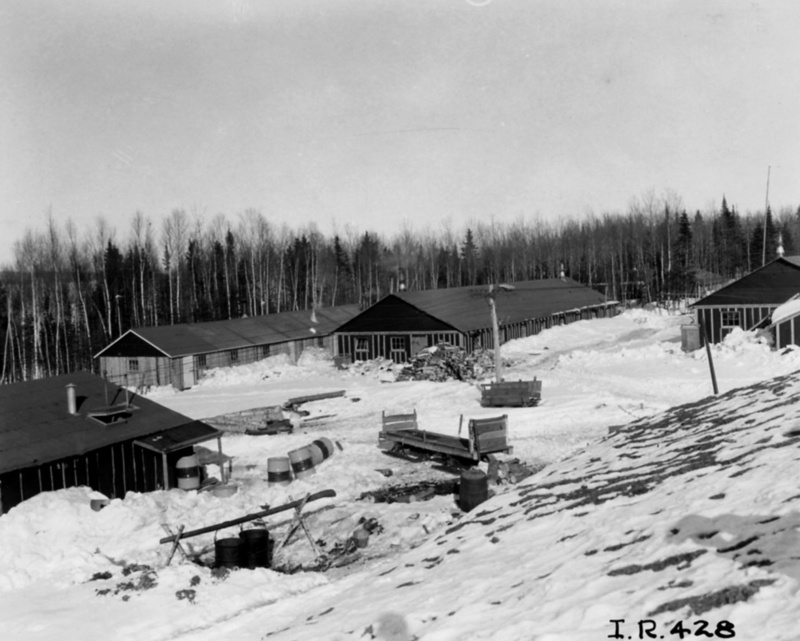 Also, camps occasionally held dances, and brought in young local women to socialize with the recruits. 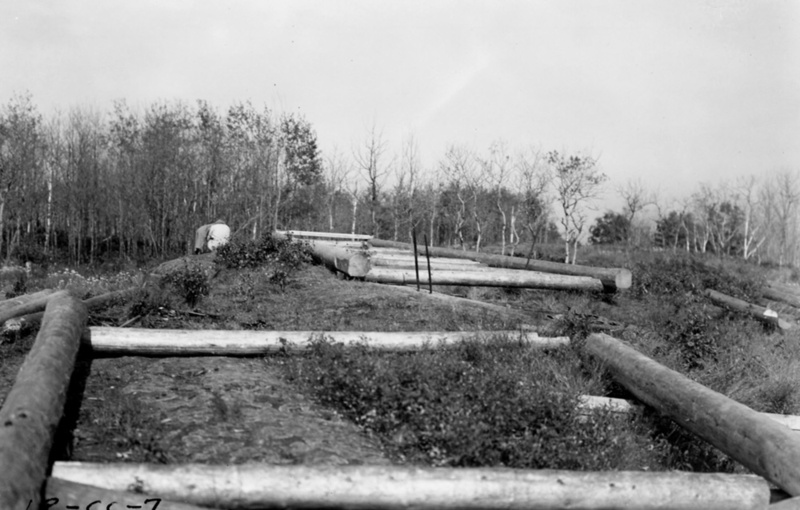 The camps often constructed field for baseball and football games." 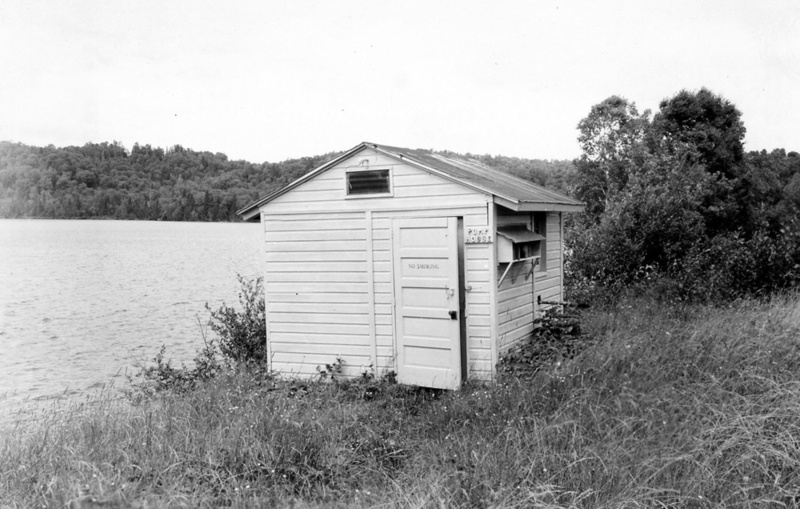 In contrast, transportation from Isle Royale to Houghton, Michigan, was unreliable, and the distance so great that the volunteers lived simple lives and were lucky to leave the island once a month. The park's wilderness management doctrine restricted the construction of the standard recreational facilities such as baseball and football fields, whereas lsle Royale activities were limited to horseshoe pitching, hiking, archery, and water sports. 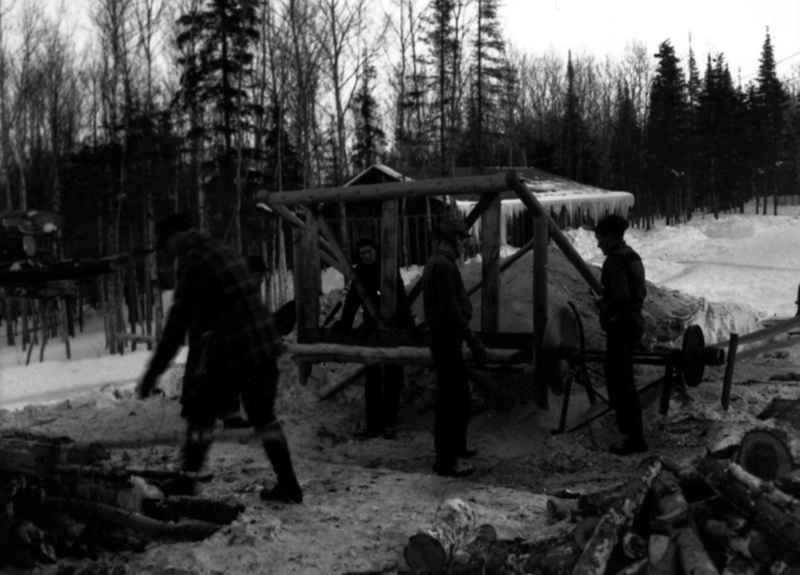 Additionally, most activities took place outside, as there were no large buildings for indoor recreation. 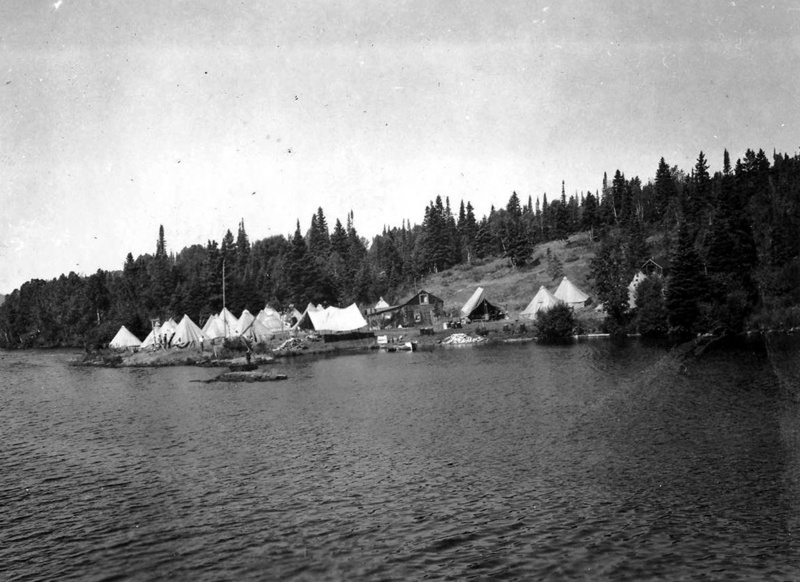 Educational opportunities were similar to most of the other CCC camps. 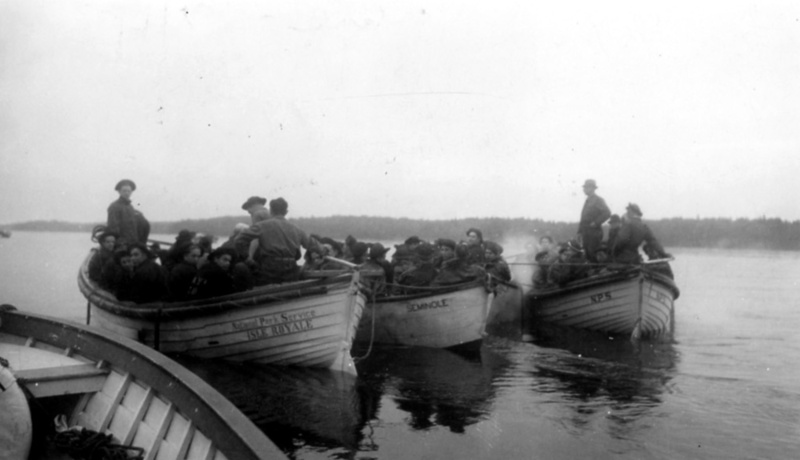 Recruits received vocational rather than academic training, and were taught mechanical drawing, radio operation, photography, typing, and nautical skills. 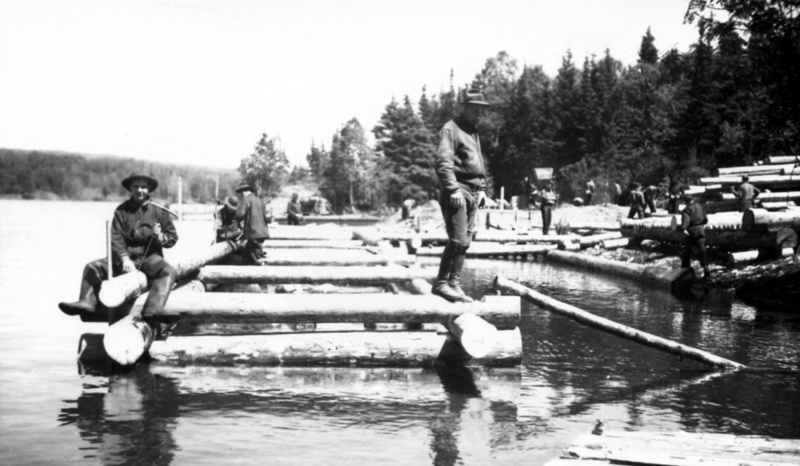 Many recruits would obtain good jobs upon their discharge from the corps. Interior of barracks building, Camp Siskiwit: NVIC-30-224, ISRO Archives. 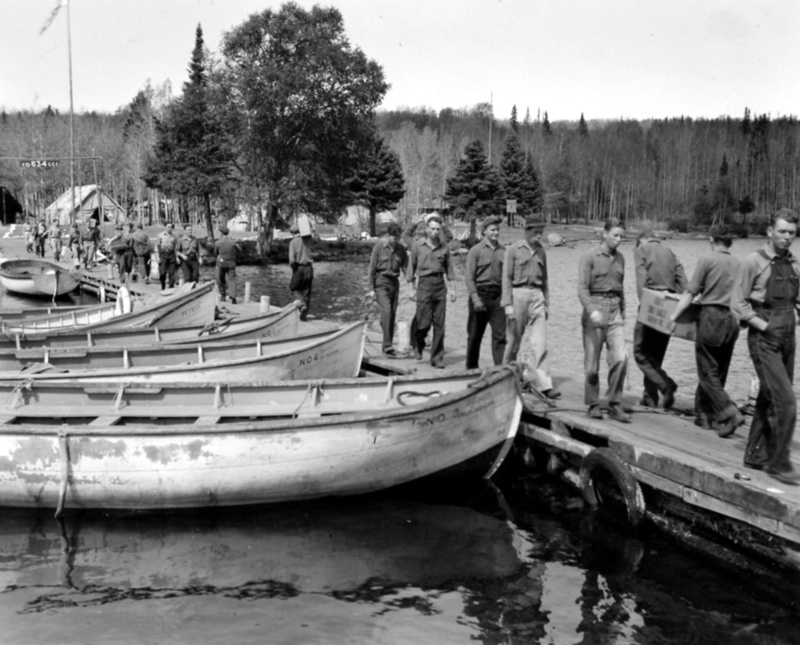 By September of 1935, the CCC park projects were initiated on Isle Royale. 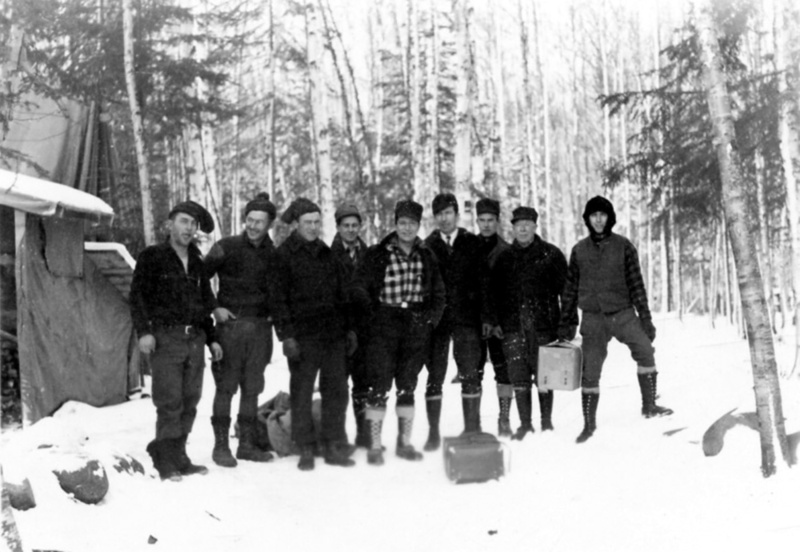 During their first season, CCC crews graded a trail from Senter Point to Lake Desor, erected a ski-patrol cabin, and disposed of slashings along former lumber trails. 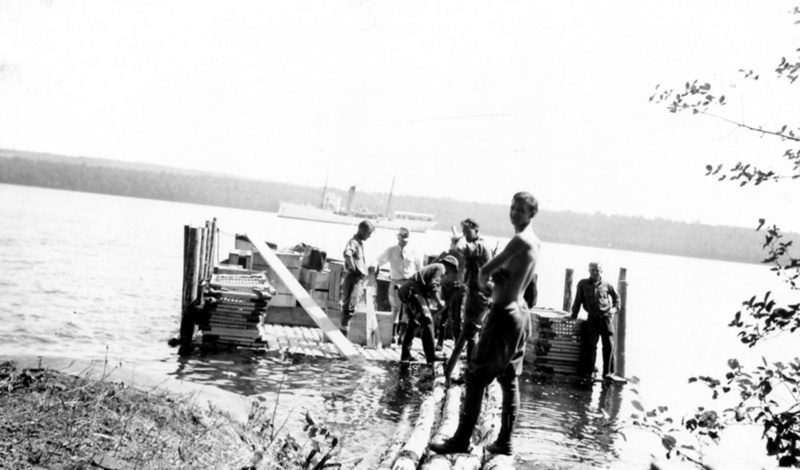 The enrollees also built a small dock at Senter Point (near Camp Siskiwit), and helped with island wildlife management by constructing a moose corral and a range study area. 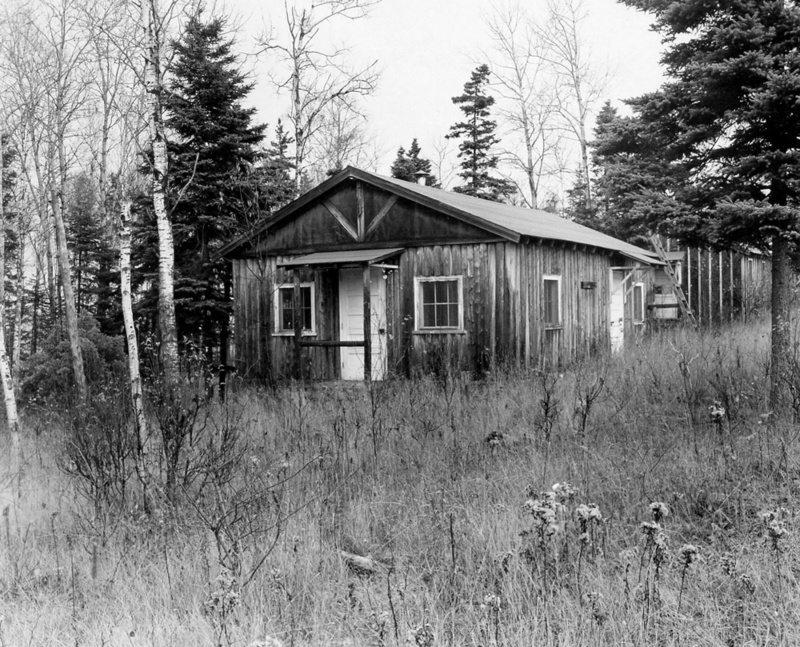 At the close of the season in the fall, George Baggley of the National Park Service made a tour of Isle Royale, and recommended that certain improvements be undertaken to support the development of the park. 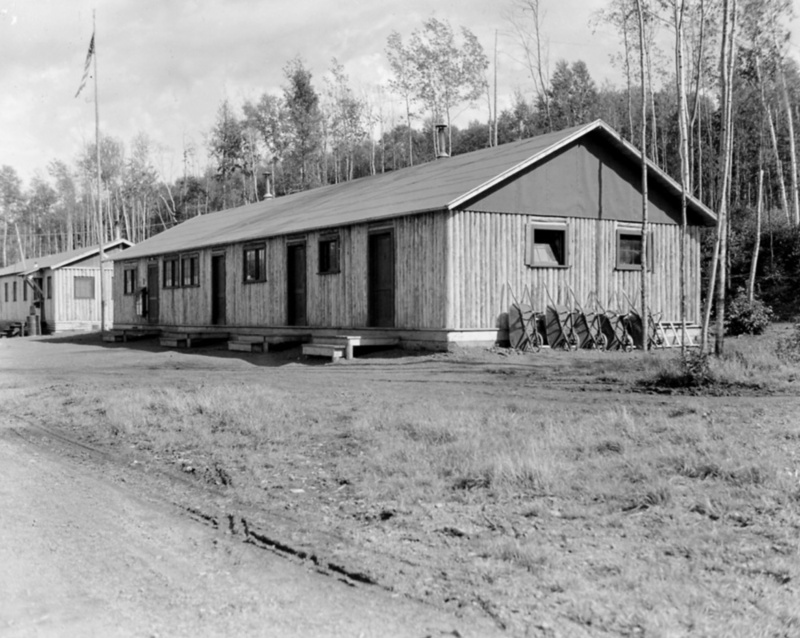 These included "better transportation facilities, a base administrative and supply center on the mainland, better radio connections, more elaborate tourist facilities, and minimal interior trail and shelter construction." 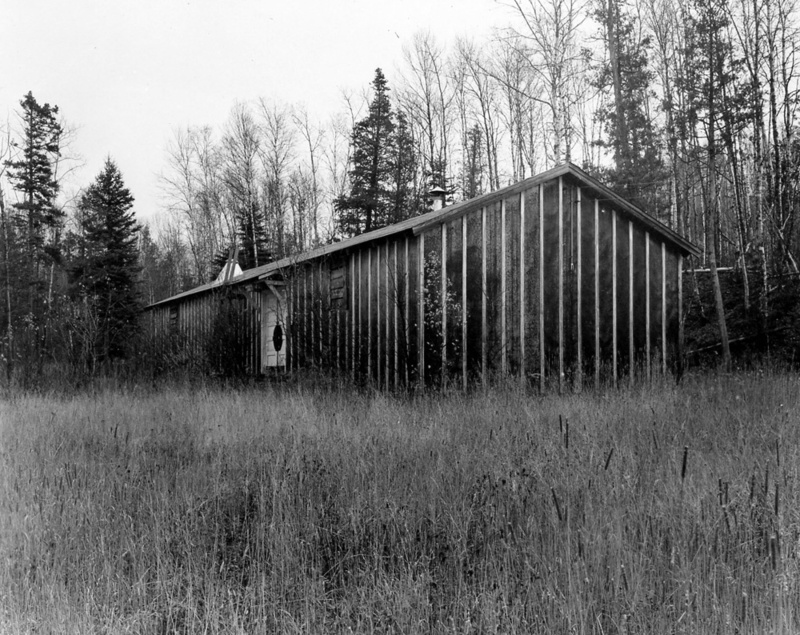 Baggley was familiar with the issues involved in managing Isle Royale National Park, recognized the importance of preserving the wilderness of the island, and understood that compromise between the preservation of the environment and the development of recreational facilities was essential." 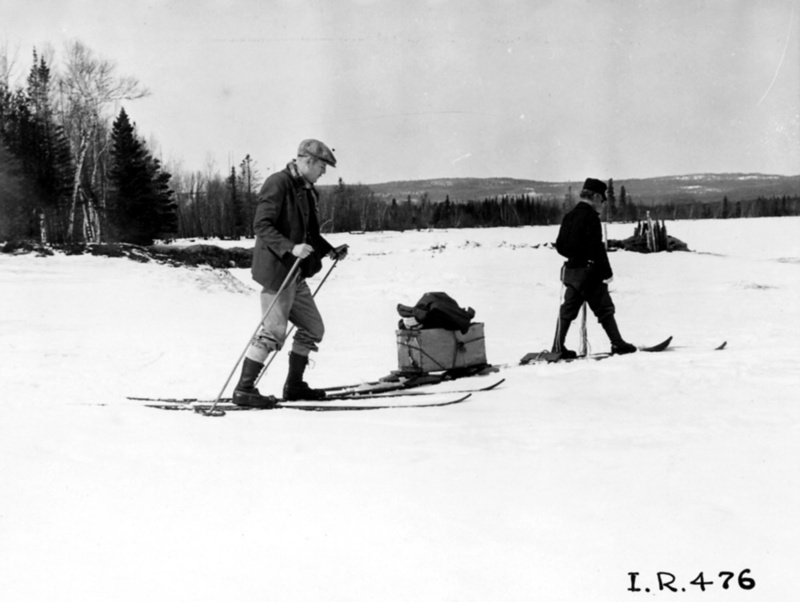 As Isle Royale National Park's first superintendent, Baggley played a key role in the future of the island. 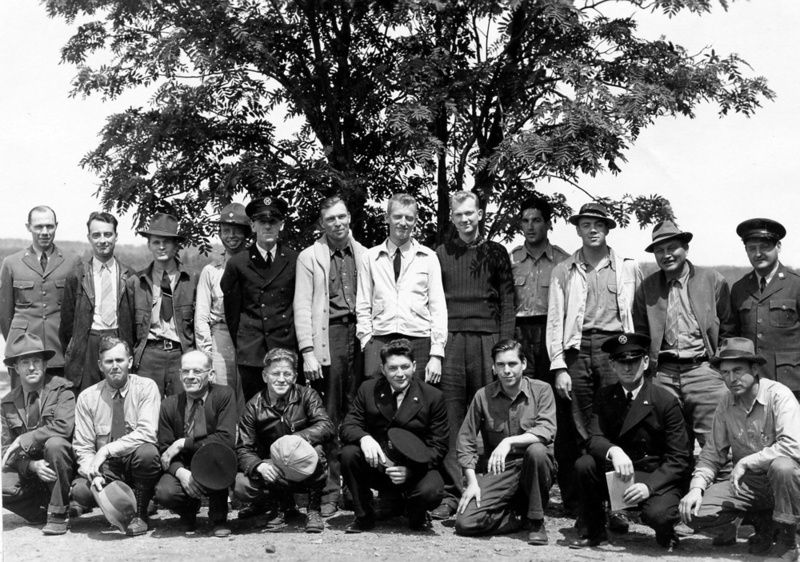 CCC Pumper crew, 1936: NVIC-30-137, ISRO Archives. 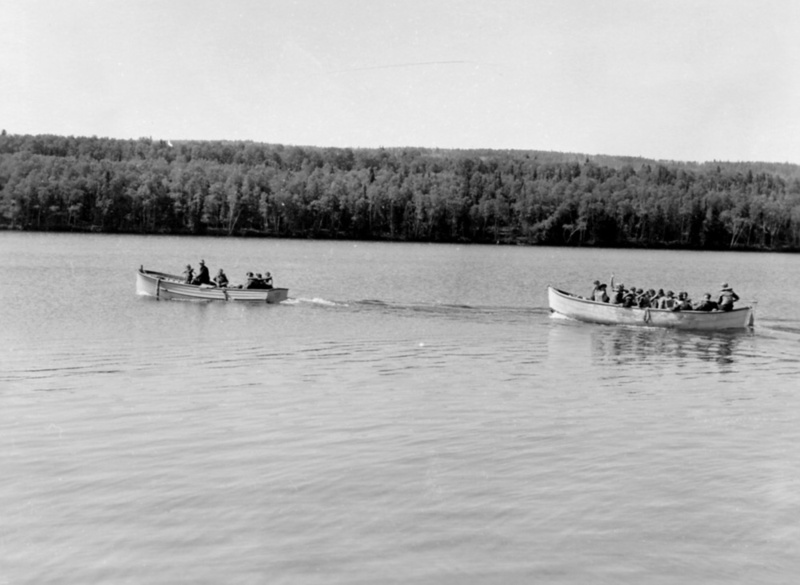 At the commencement of the second season on Isle Royale, in June 1936, approximately 400 CCC enrollees were sent to Isle Royale. 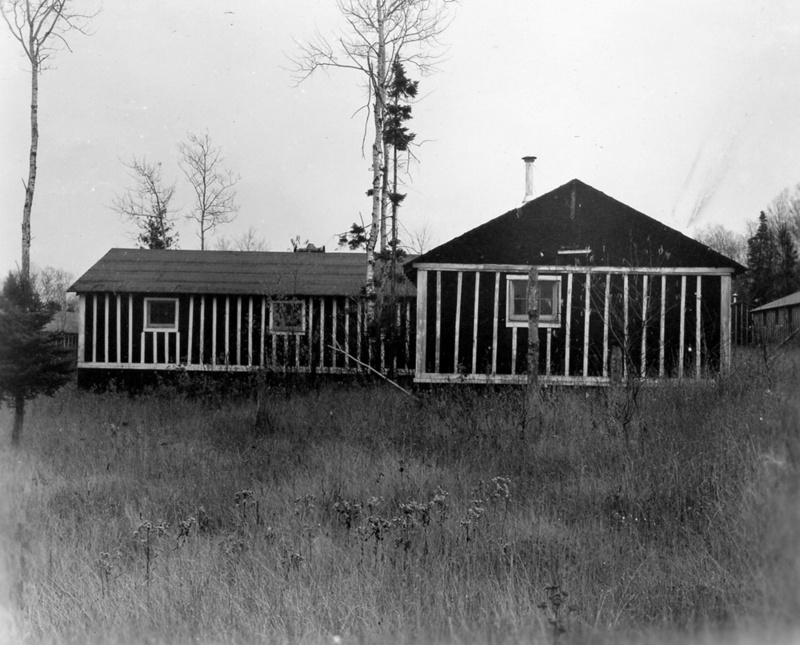 As a result of Baggley's recommendations, a second camp, CCC Camp Rock Harbor, was built at the Daisy Farm location in Rock Harbor, and a mainland supply base was built on the mainland at Houghton. 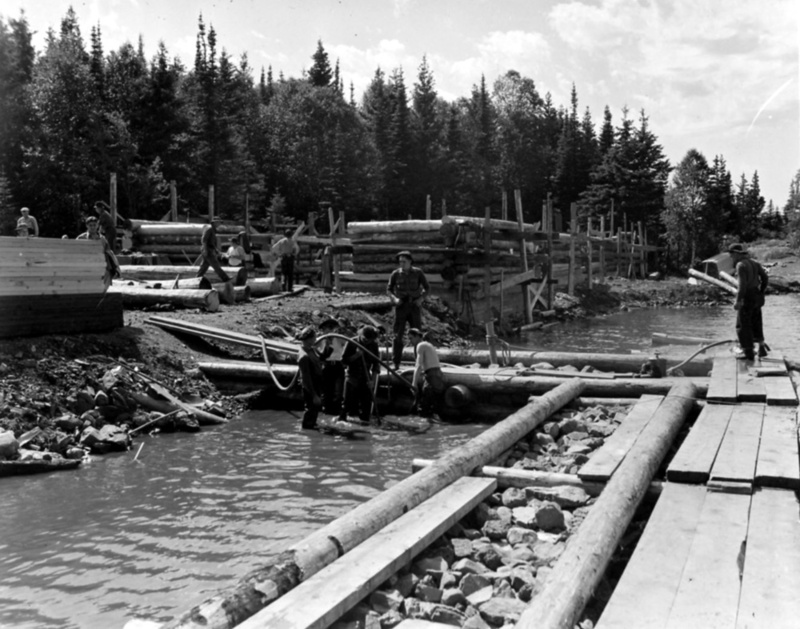 Army officers directed activities at both Camp Siskiwit and at Camp Rock Harbor, while the National Park Service personnel supervised the field work. 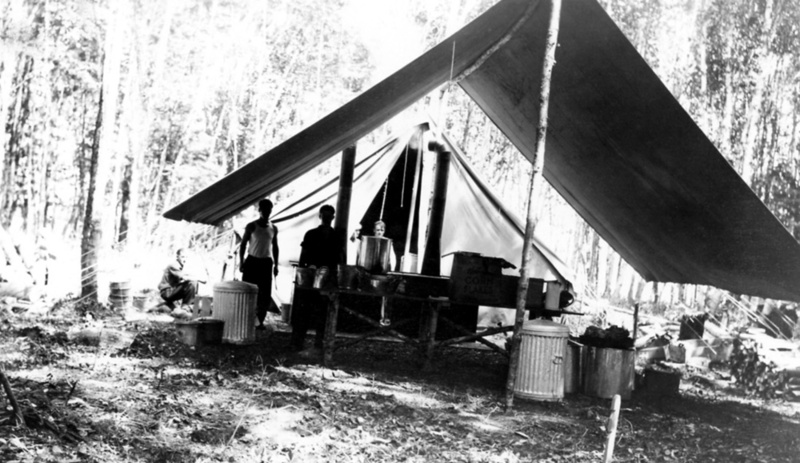 Progress was often slow due to the bureaucratic rivalry between National Park officials and military men, who quarreled over which projects took priority, and how to best operate camps. 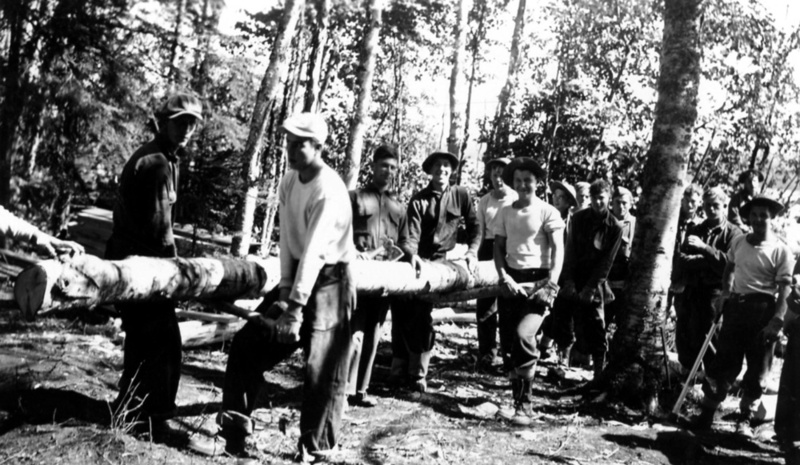 Isle Royale CCC enrollees spent most of the hot, dry summer of 1936 fighting an immense forest fire that started in late July from the lumber piles left by the previous year's logging operations. 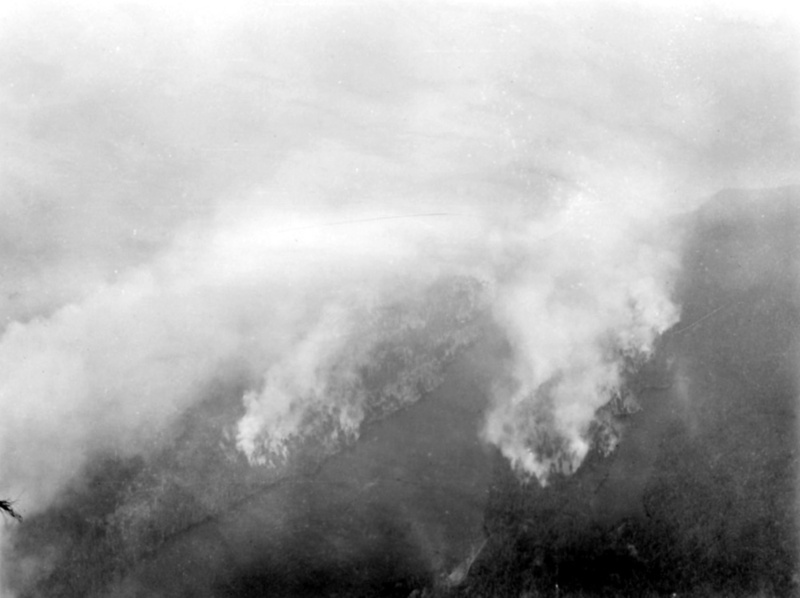 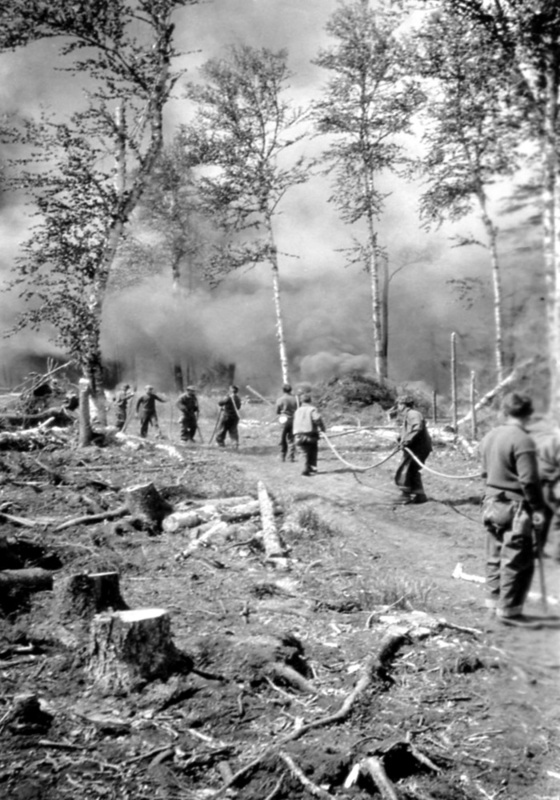 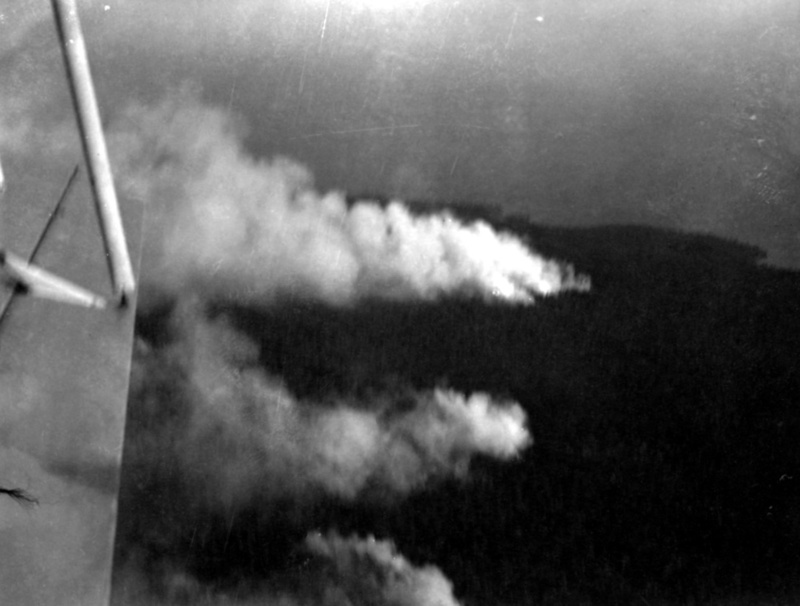 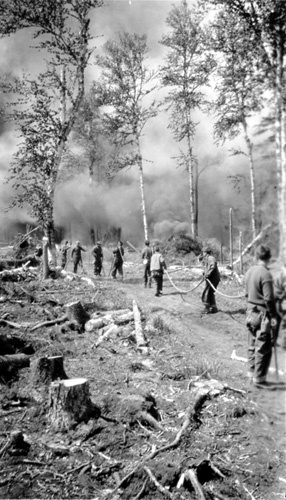 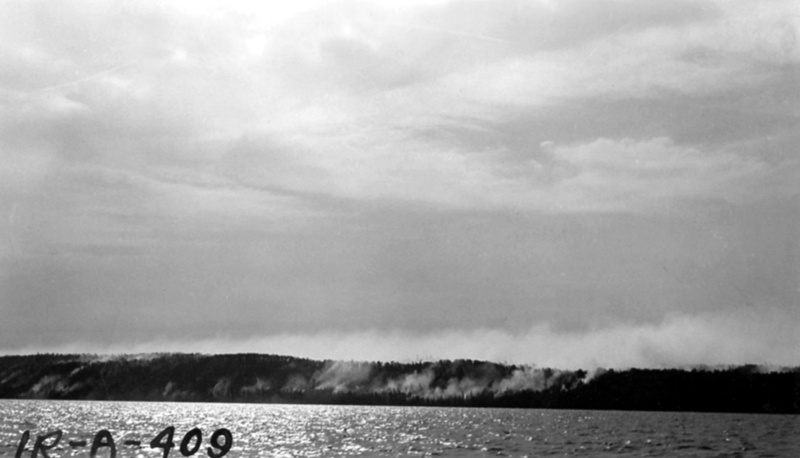 Eighteen hundred men from the CCC, the U.S. Forest Service, U.S. Navy and the U.S. Coast Guard worked for almost three months to control the blaze. 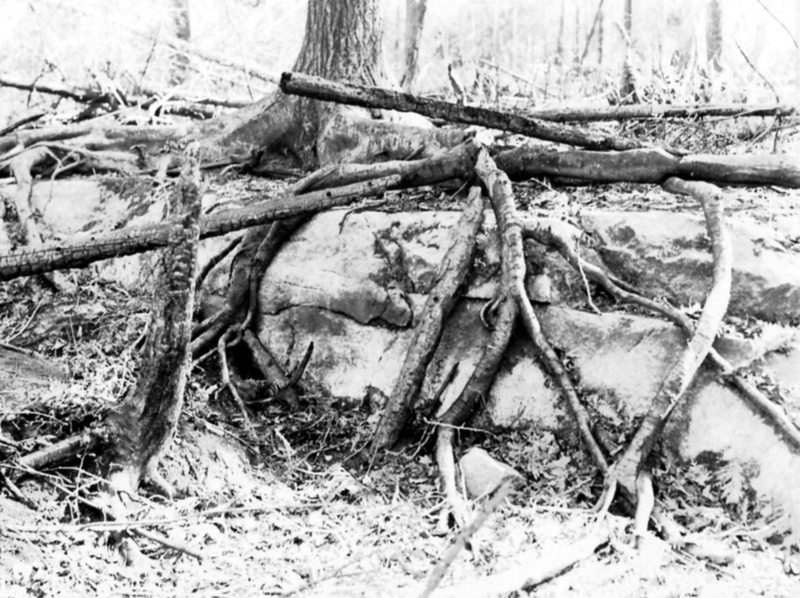 (Some of the summer residents helped, although somewhat ineffectuality). 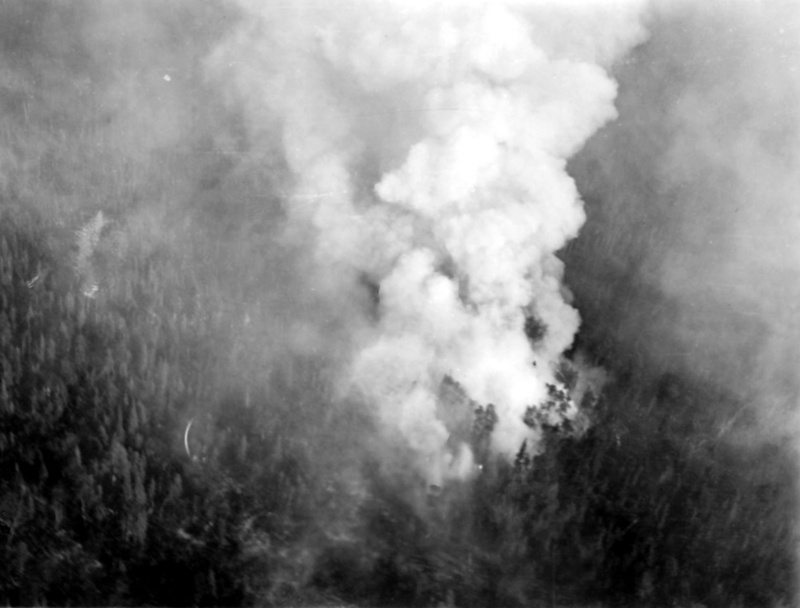 The fire was not brought under control until September 15 when rain and cooler weather came. 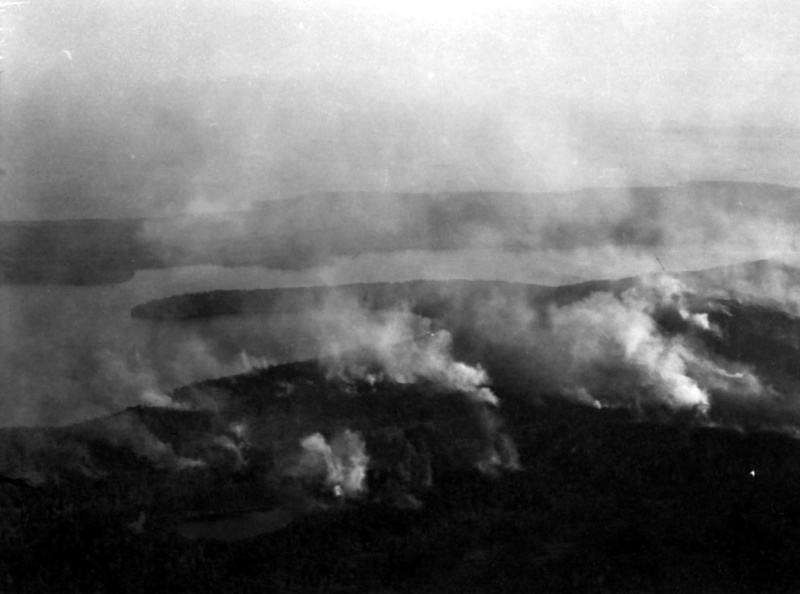 However, by this time the fire had consumed 20 percent of Isle Royale's forests. 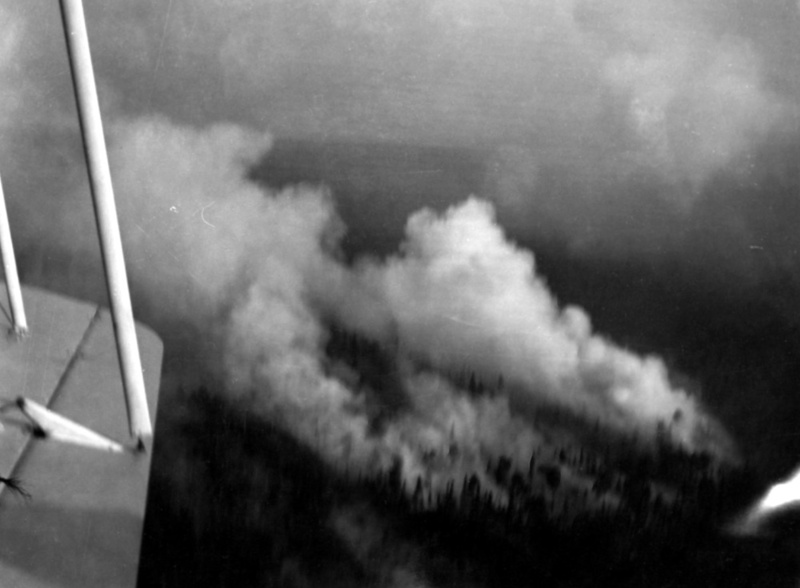 After the fire was out, work was resumed on national park projects. 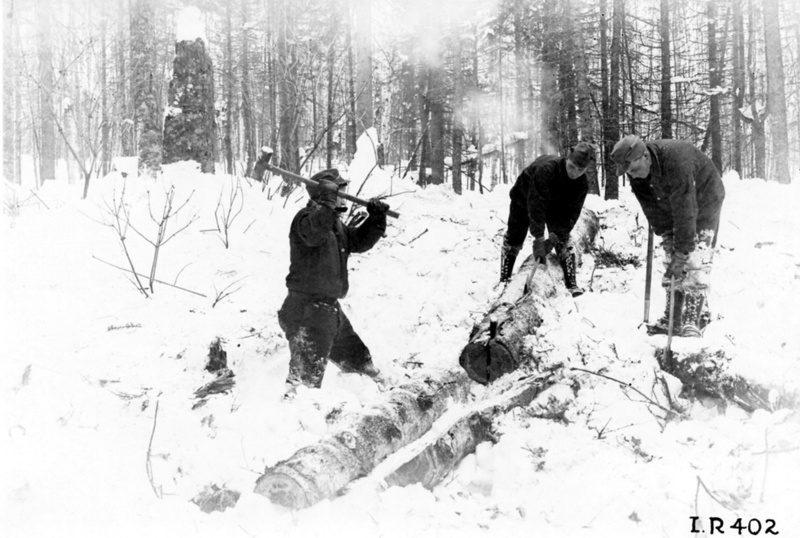 The CCC enrollees normally did not spend winter on the island, but during the winter of 1936-1937, 115 CCC recruits volunteered to stay in order to clear remaining fire hazards. 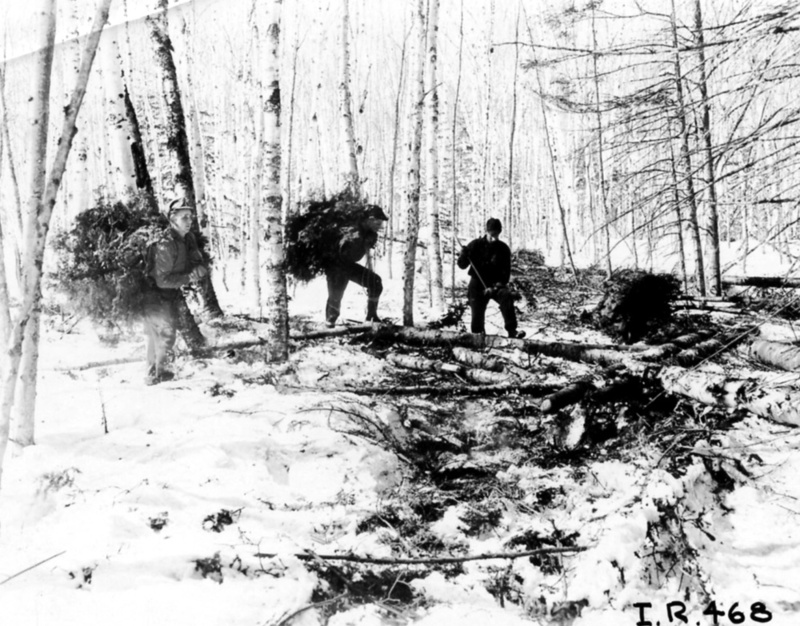 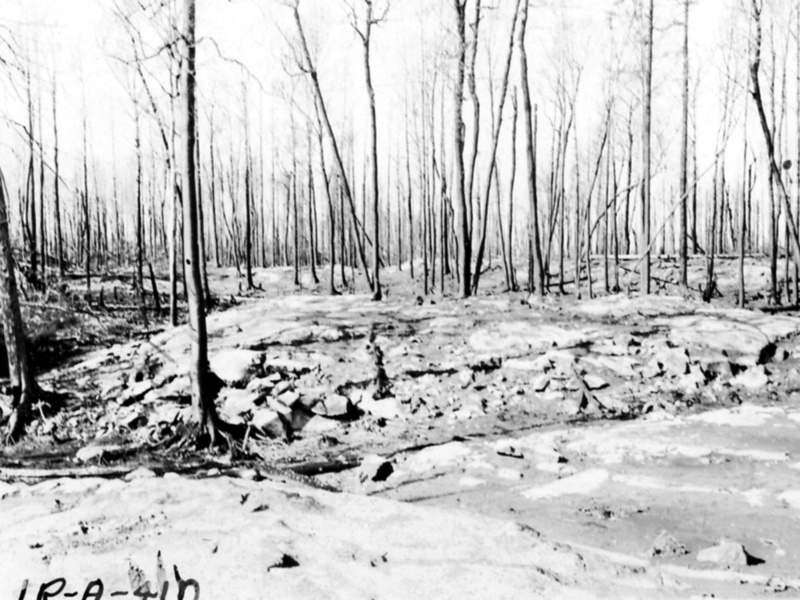 Baggley set the goals and activities: CCC crewmen were to clear fire damage, attend classes, capture moose to send to other parts of Michigan for study and stocking experiments, and repair camp structures. 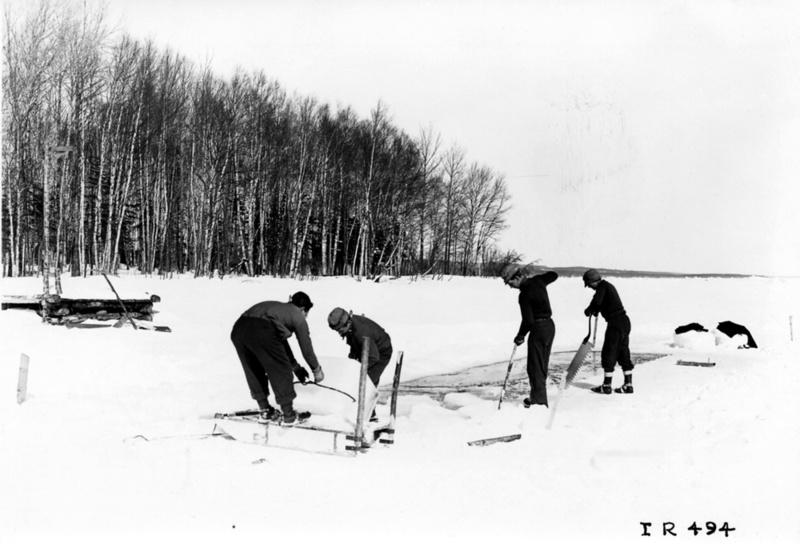 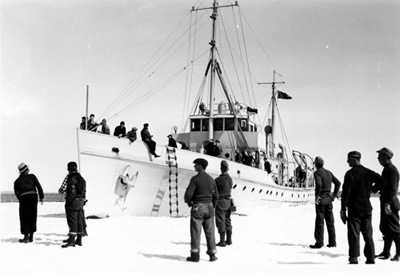 The recruits also built an ice skating rink, and enjoyed the mild winter. 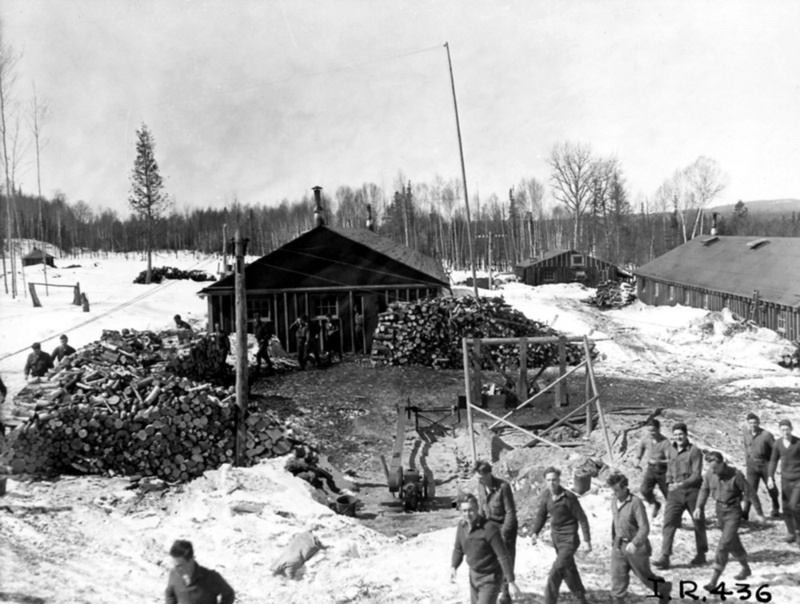 Over the winter, the National Park Service gained all responsibility for the winter camp and ran it like a lumber camp, rather than a military base. 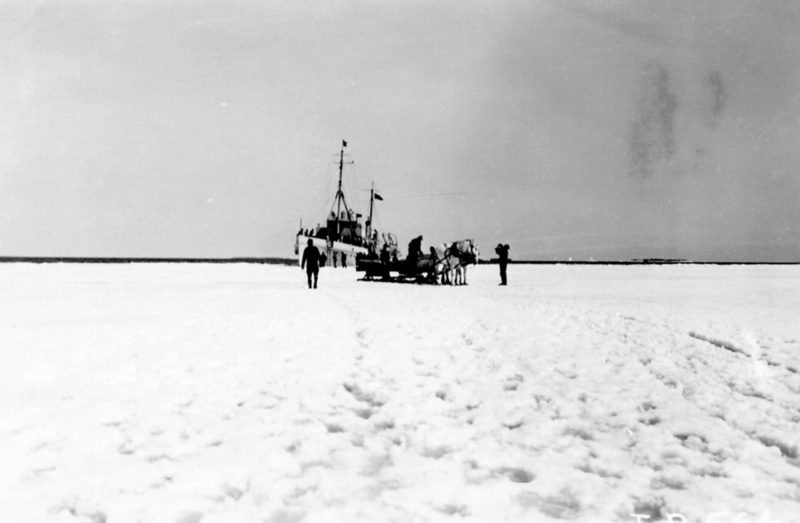 Boats brought in supplies including a team of horses, a herd of pigs, and chickens. 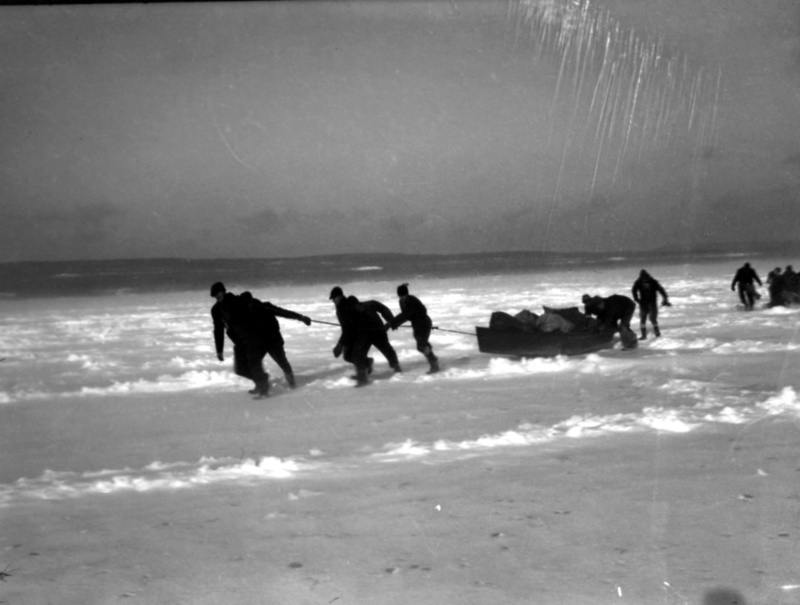 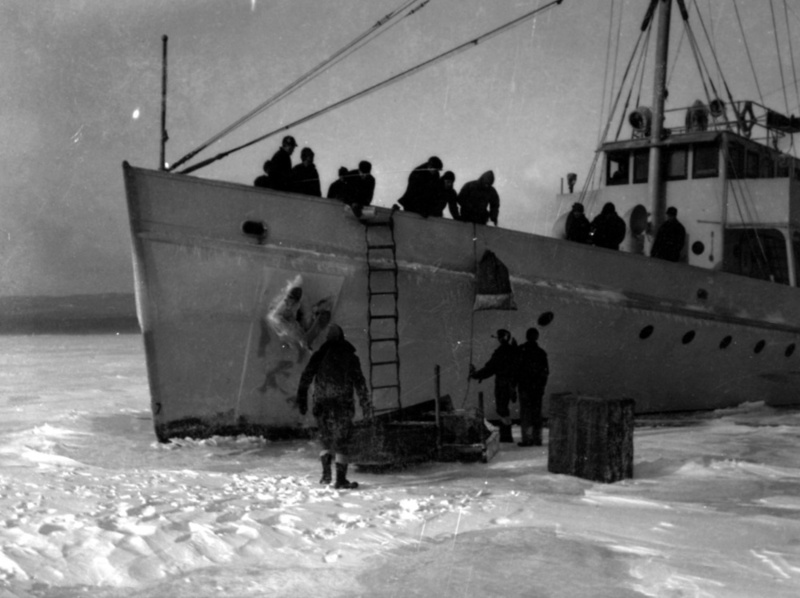 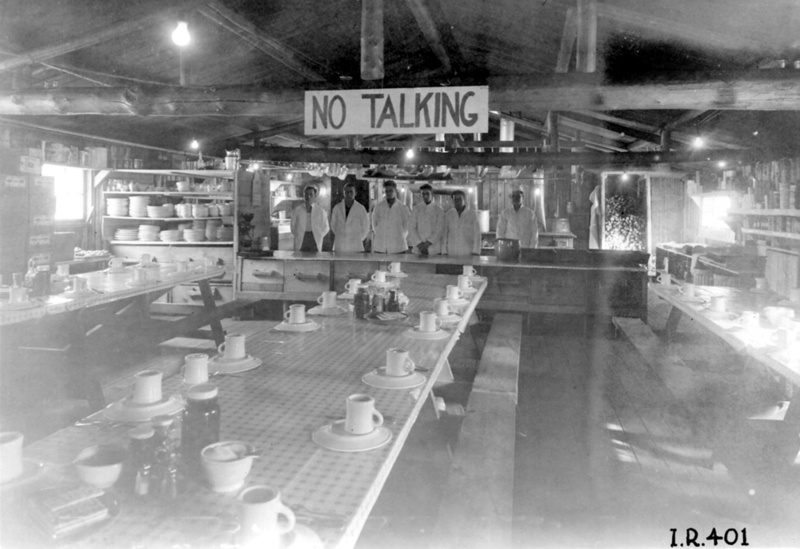 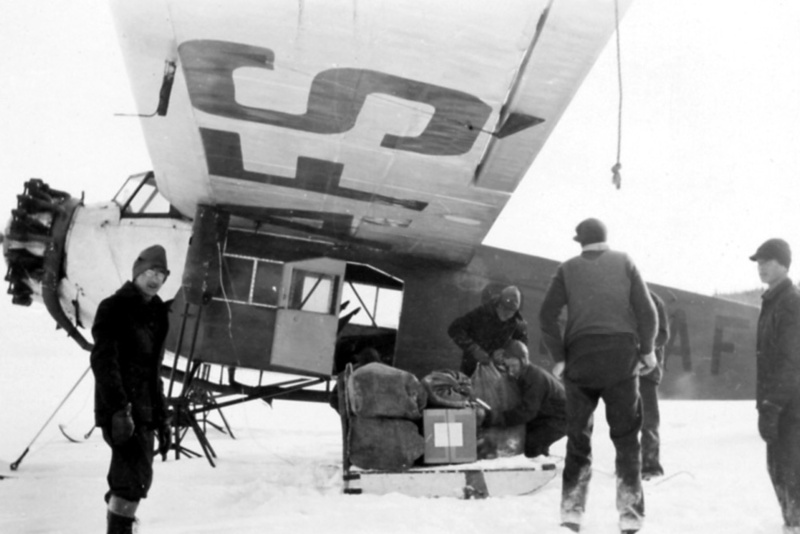 The quality of the food improved, radio contact kept enrollees in touch with Houghton, and a CCC physician remained on the island to care for the winter crew members. 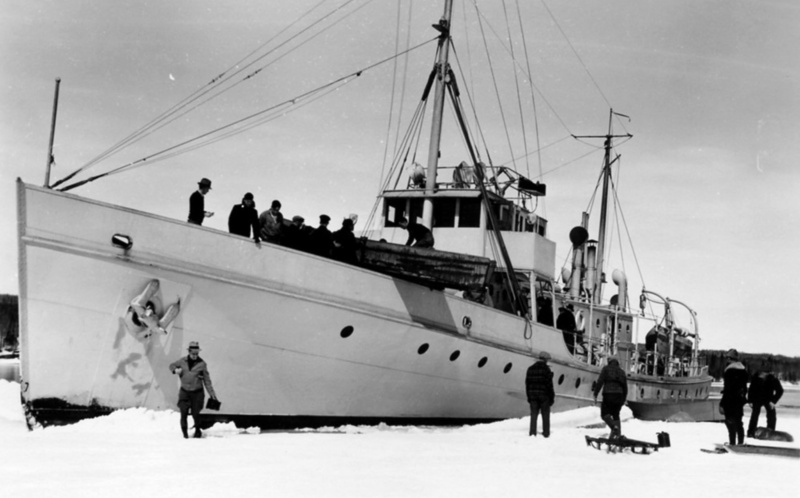 CCC Supply Boat: NVIC-30-248, ISRO Archives. 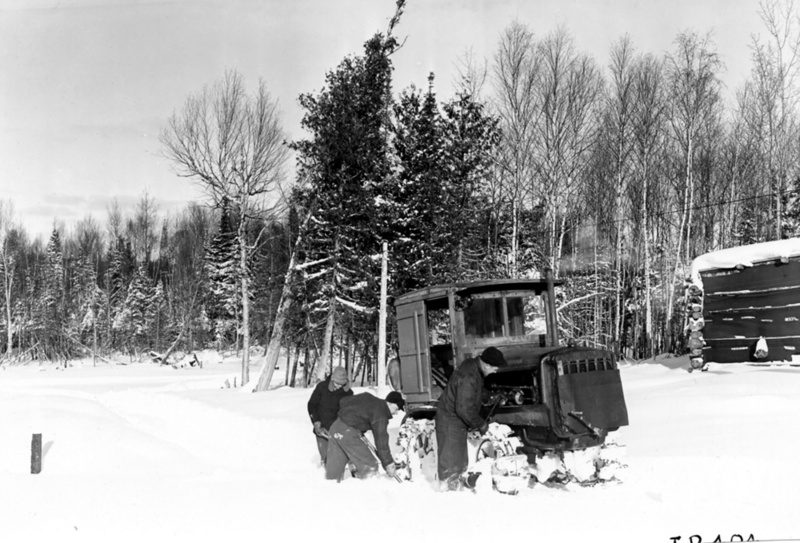 The 1937-1940 seasons were highly productive for Isle Royale. 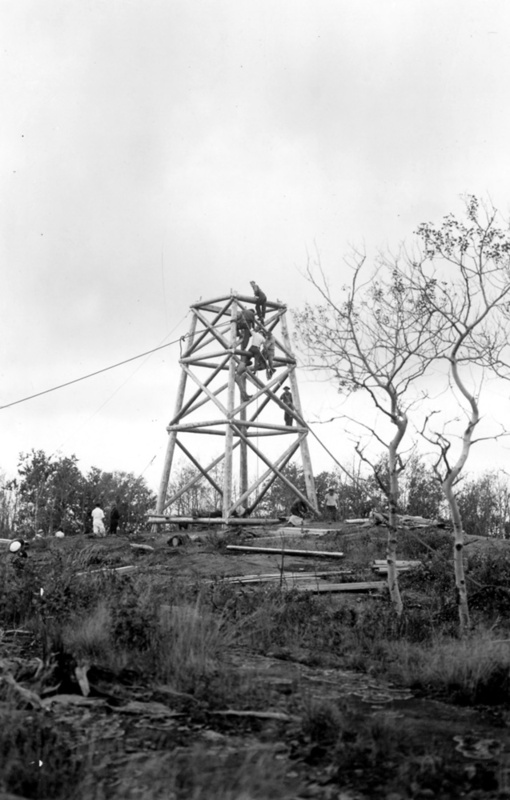 In addition to other projects, a fire observation tower was built at Feldtmann Ridge, and the resorts on Belle Isle and Rock Harbor were improved, as was boat service to the island. 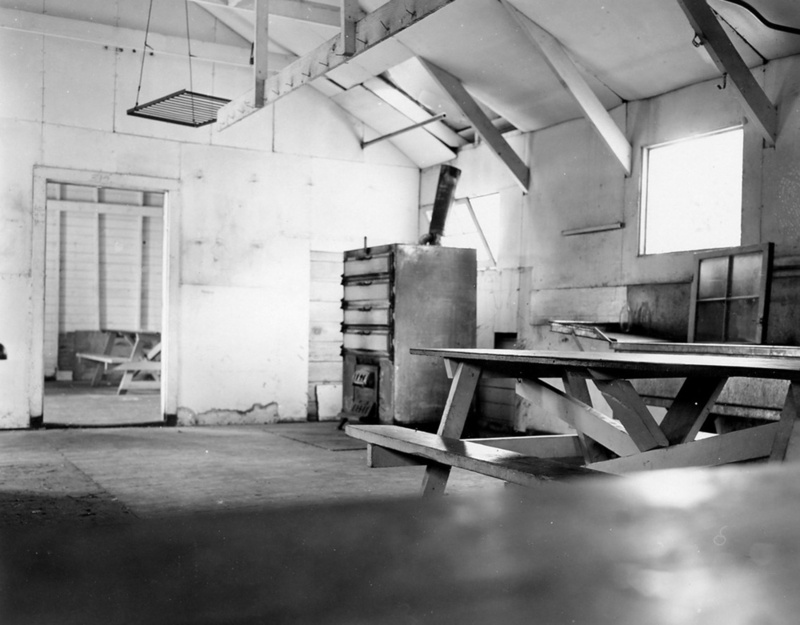 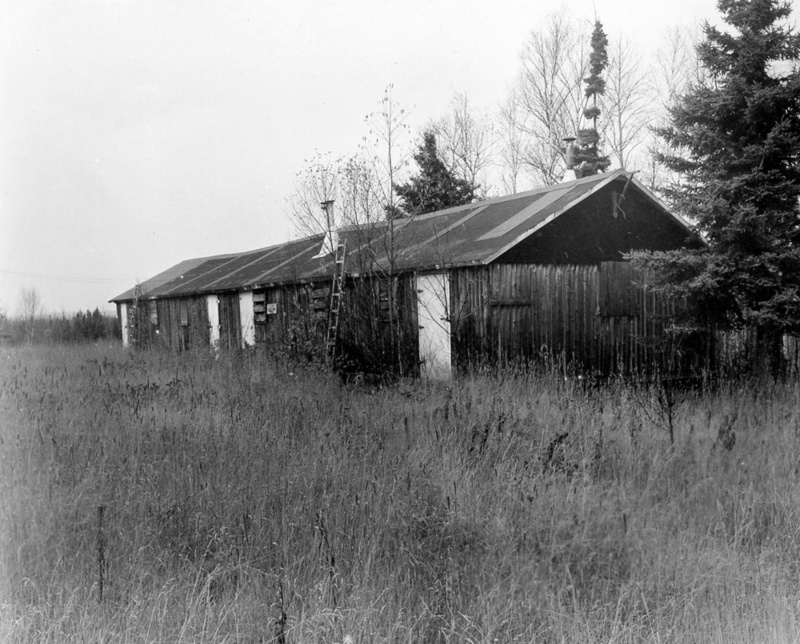 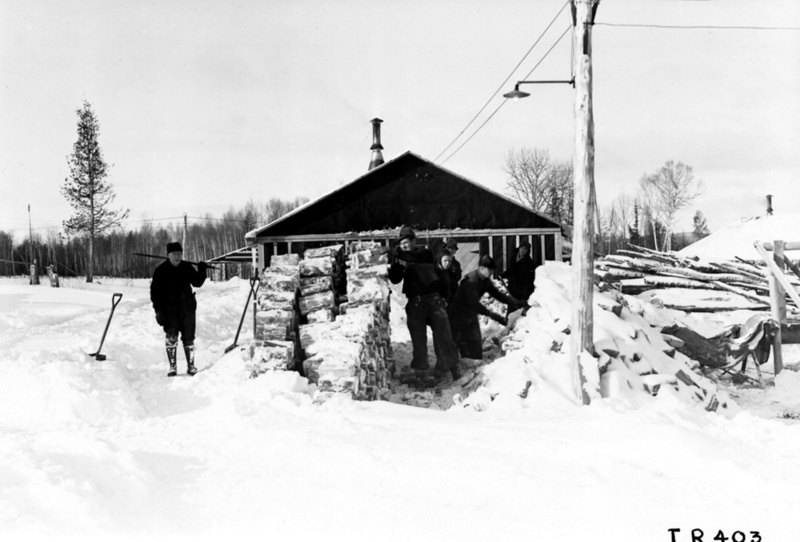 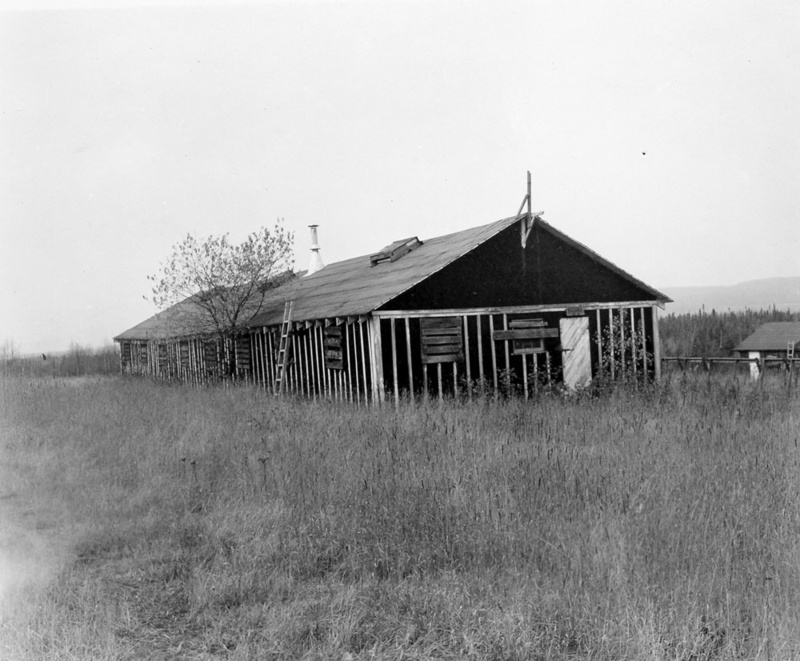 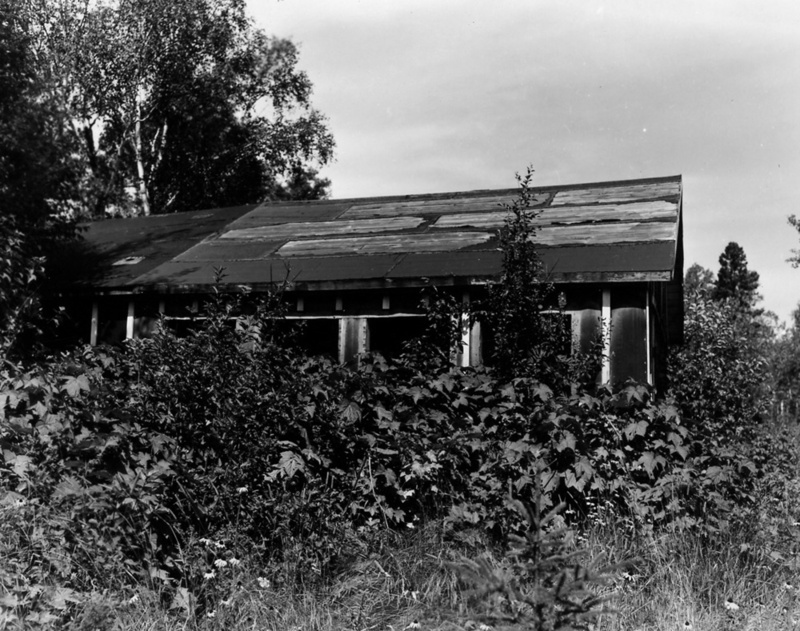 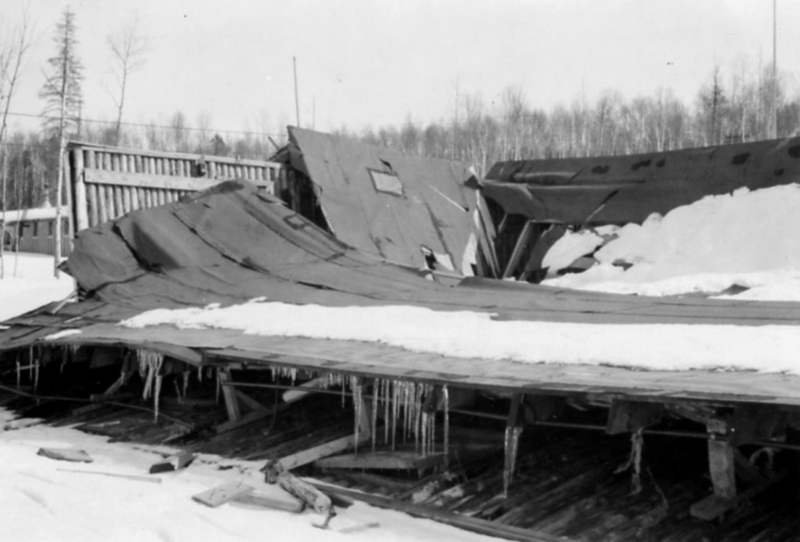 In the spring of 1937, recruits constructed an ice house, warehouse, a temporary administration headquarters, and a utility dock at Caribou Island. 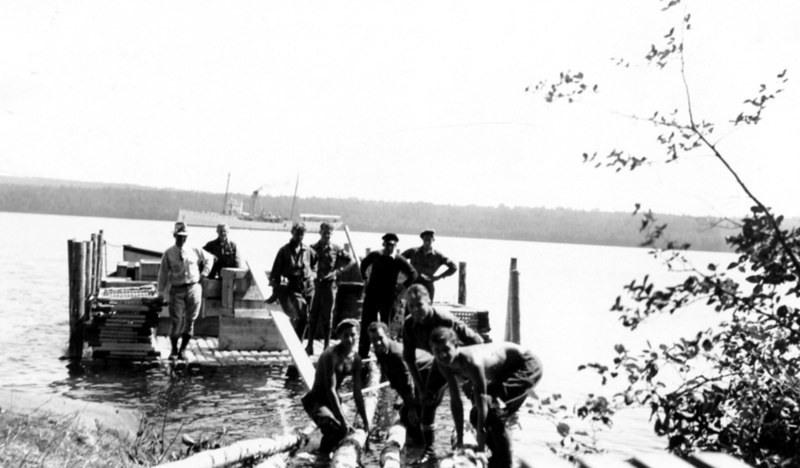 Some of the men retrieved timbers from the Iakeshore for future dock construction before severe weather set in. 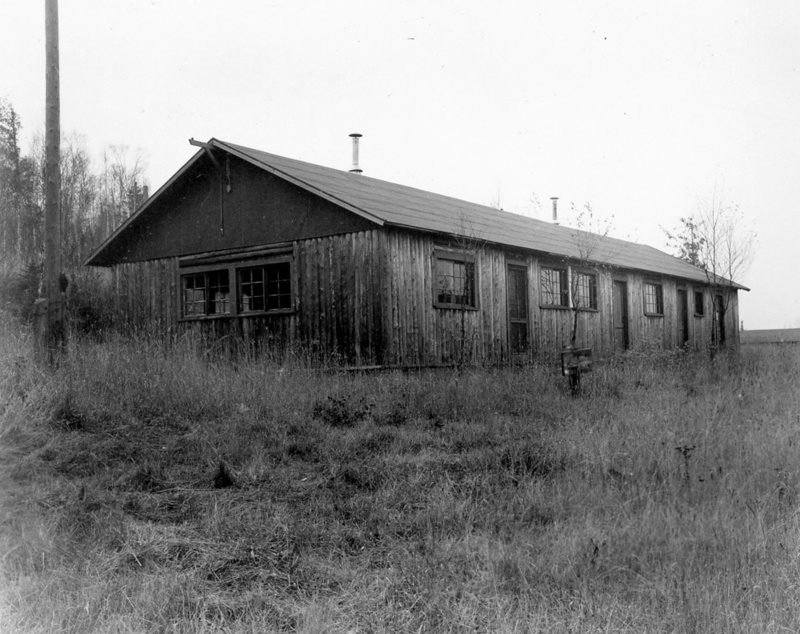 Park Service officials continued to search for a more suitable site for the National Park Service headquarters, however. 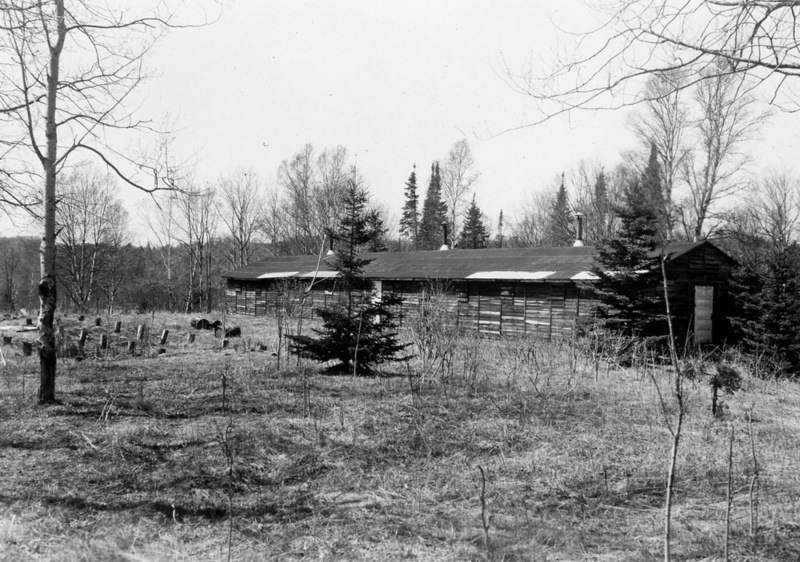 In the beginning of the 1937 season, Superintendent Baggley decided to construct the National Park Service headquarters on Isle Royale at Mott Island, rather than expand the existing headquarters at Caribou Island." 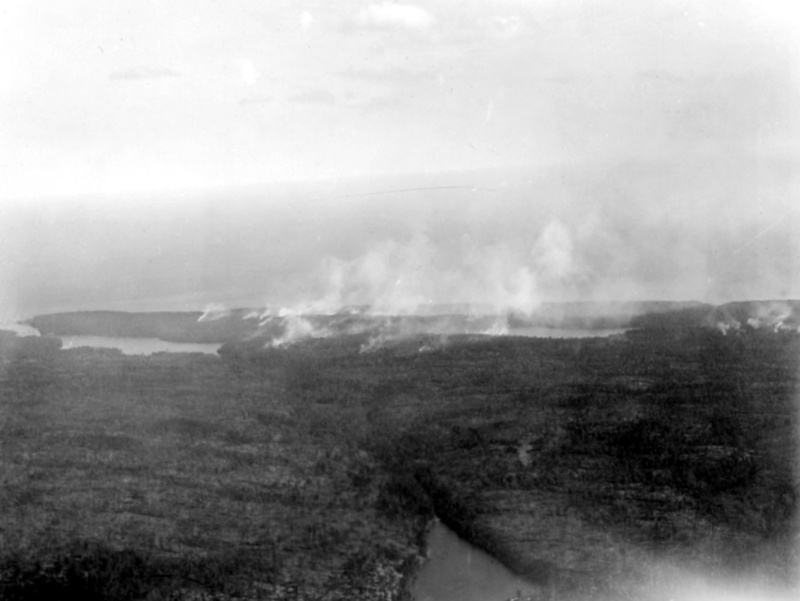 Mott island was chosen for its situation near the main island. 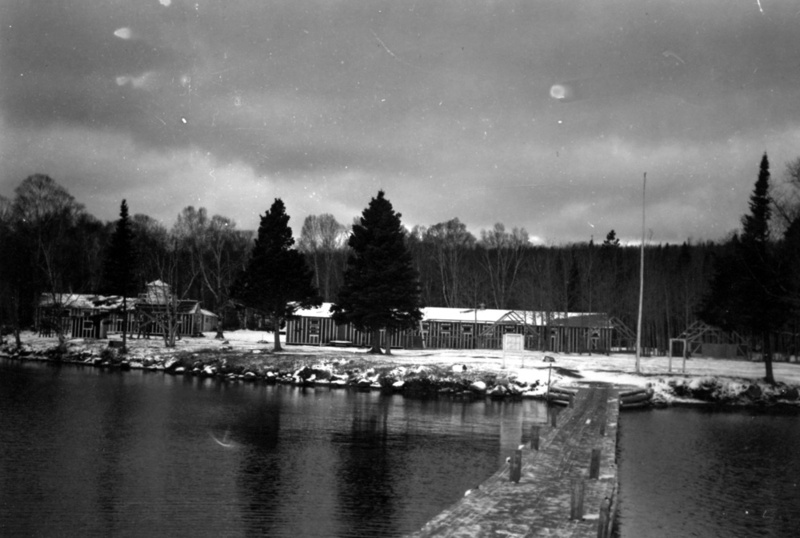 The islands harbor had water sufficiently deep for heavy vessels, yet was protected from the severe Lake Superior storms. 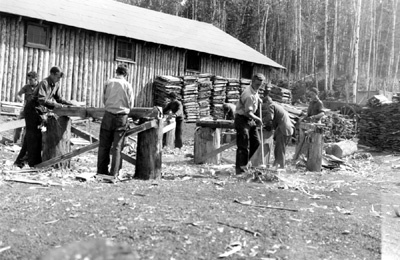 CCC funds and workers supported the development of Mott island, which continued into the fourth season in 1938. 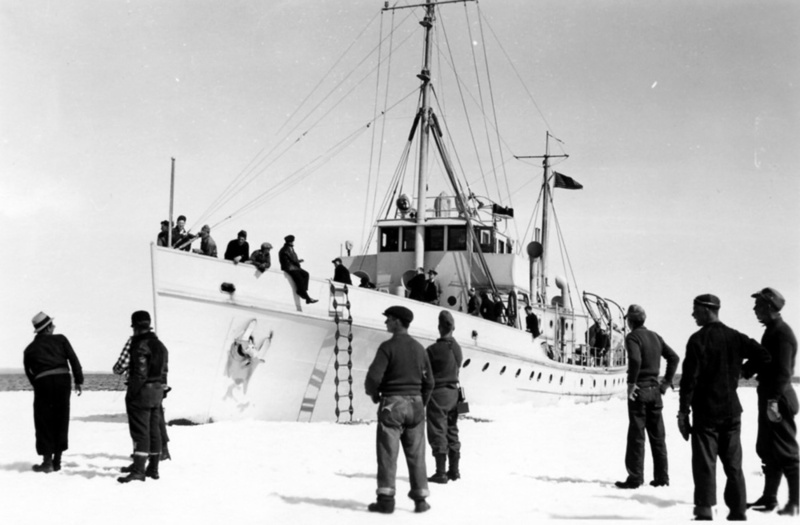 Improvements included a warehouse, officers' quarters, a water storage tank and sanitary facilities, new utilities and docking facilities for deep draft vessels, five boat campgrounds, shipping lanes markers, and buoys. 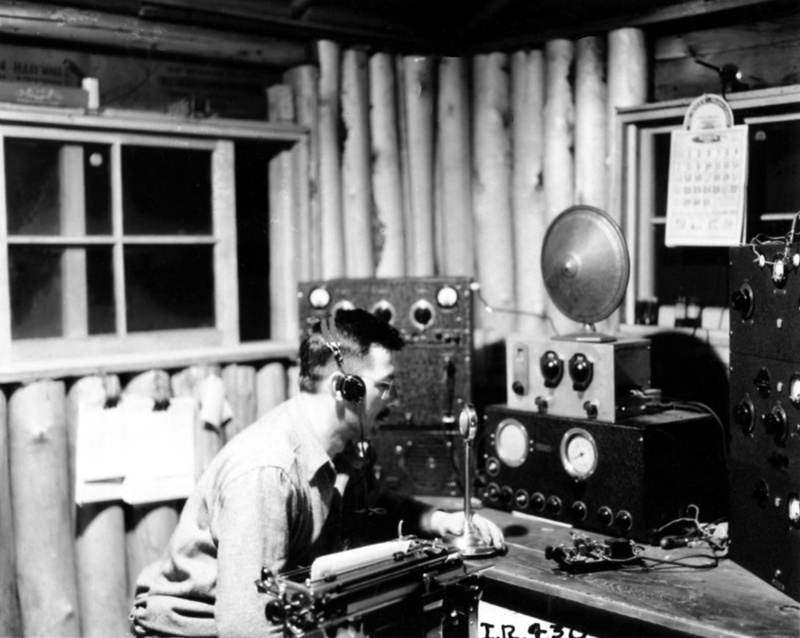 A radio network was developed between Mott island and Houghton, Michigan, improving communication with the mainland. 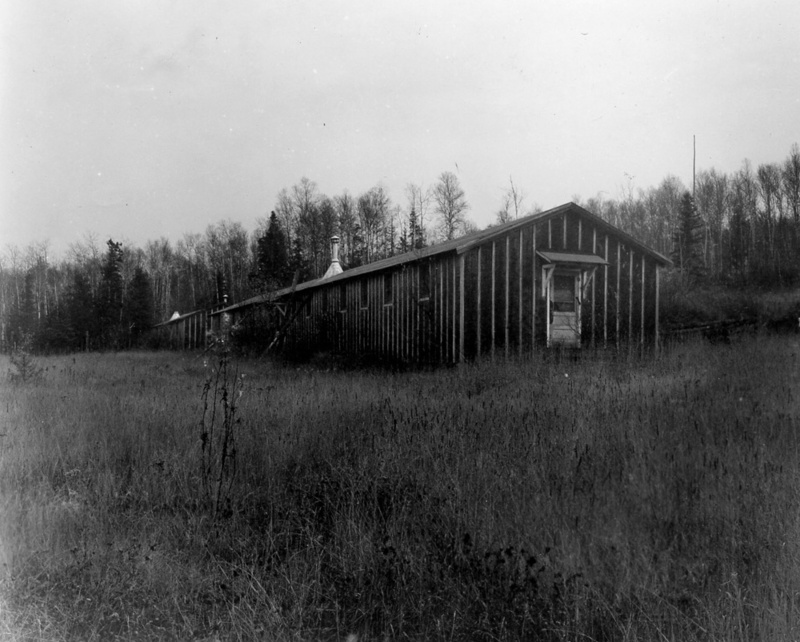 Camp Windigo: NVIC-30-228, ISRO Archives. 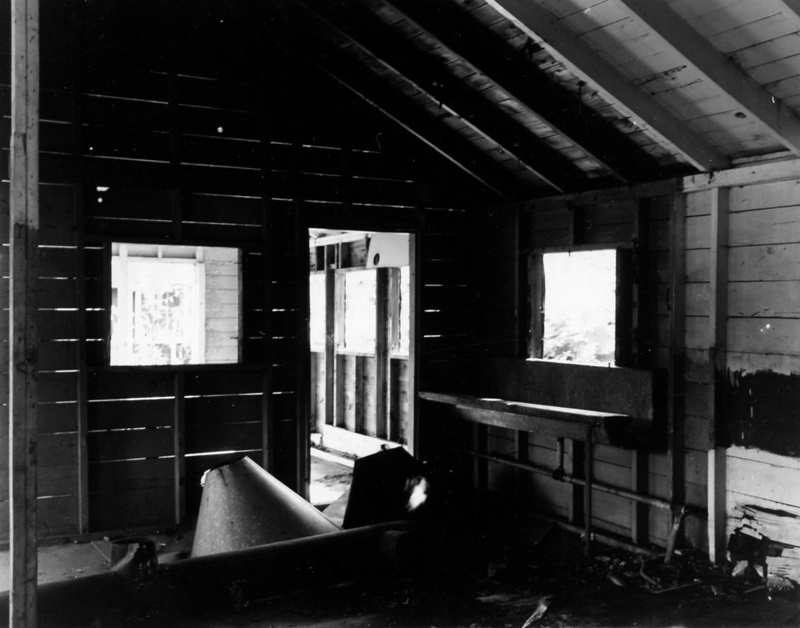 During the winter of 1939, the National Park Service determined that major improvements were needed on the visitor accommodations at the west end of the main island. 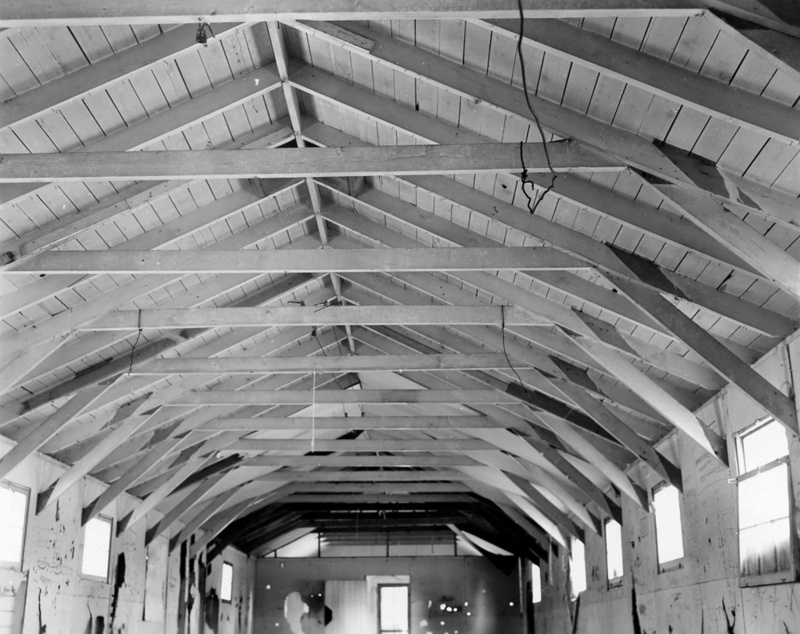 The old Washington Club property was selected to be renovated as the new facility and the project was scheduled for completion by the 1940 tourist season. 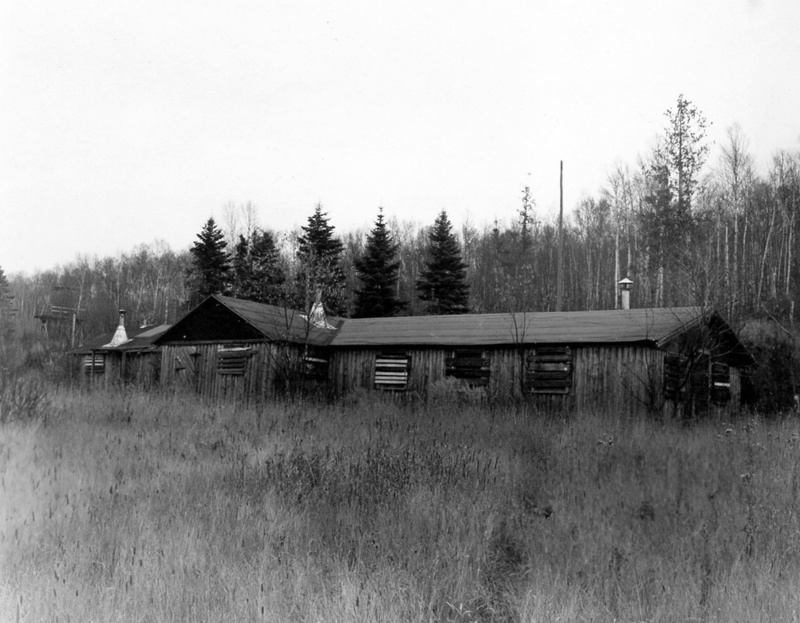 In June 1939, CCC Camp Windigo-the third CCC camp for Isle Royale-was authorized to be constructed near the eastern shore of Washington Harbor, to serve as a base camp for recruits working on the Washington Club renovation. 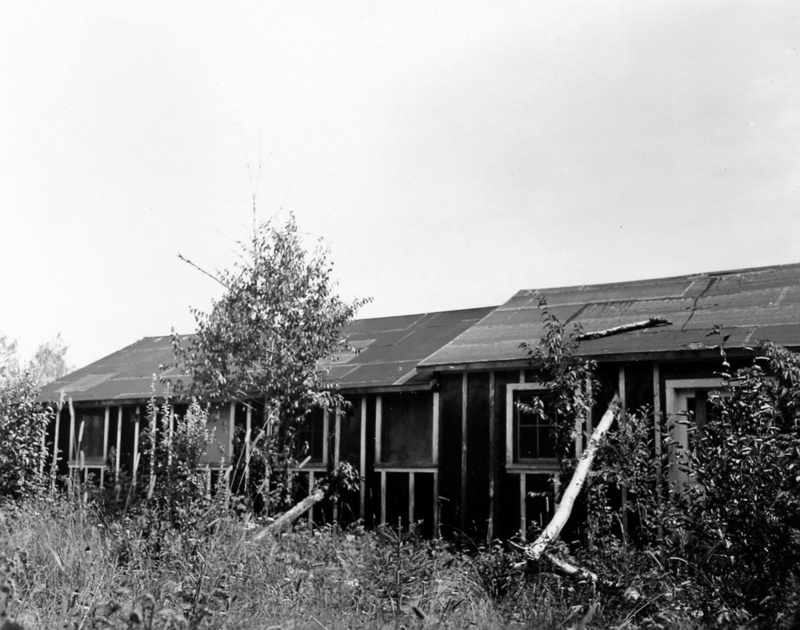 A portable camp with all necessary buildings was ordered, and was shipped to Houghton in July 1939. 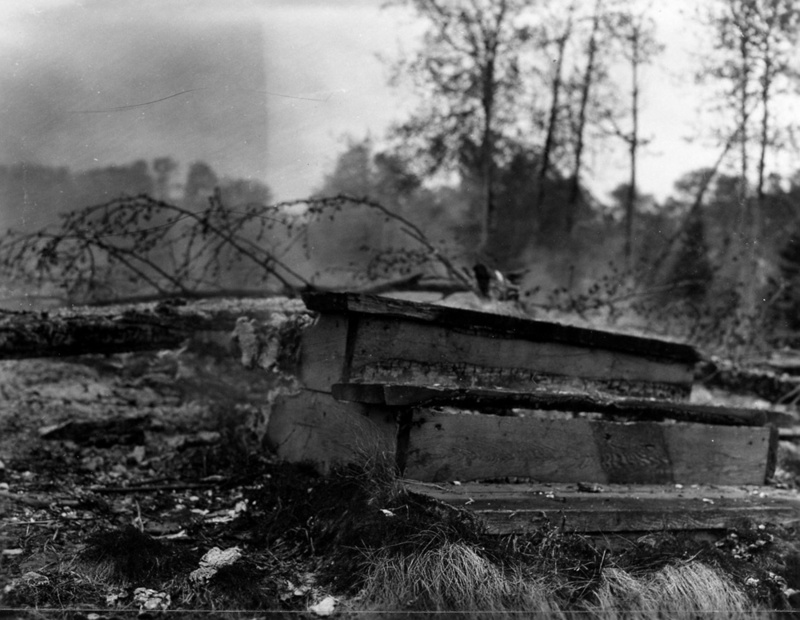 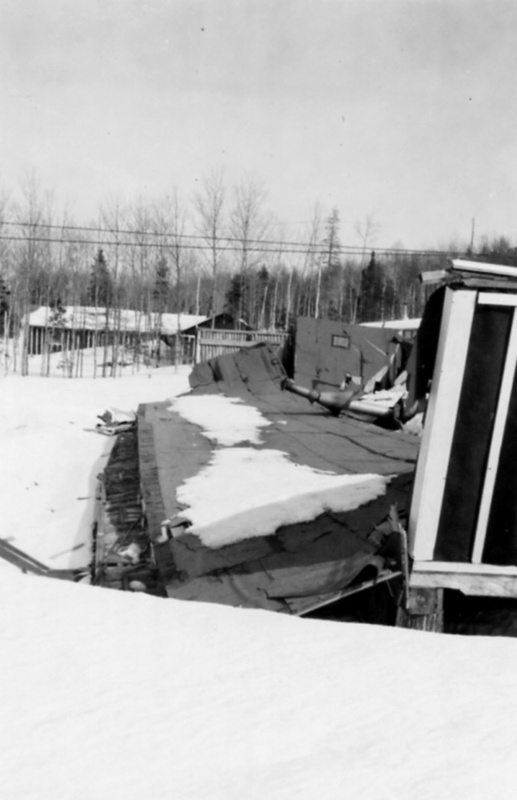 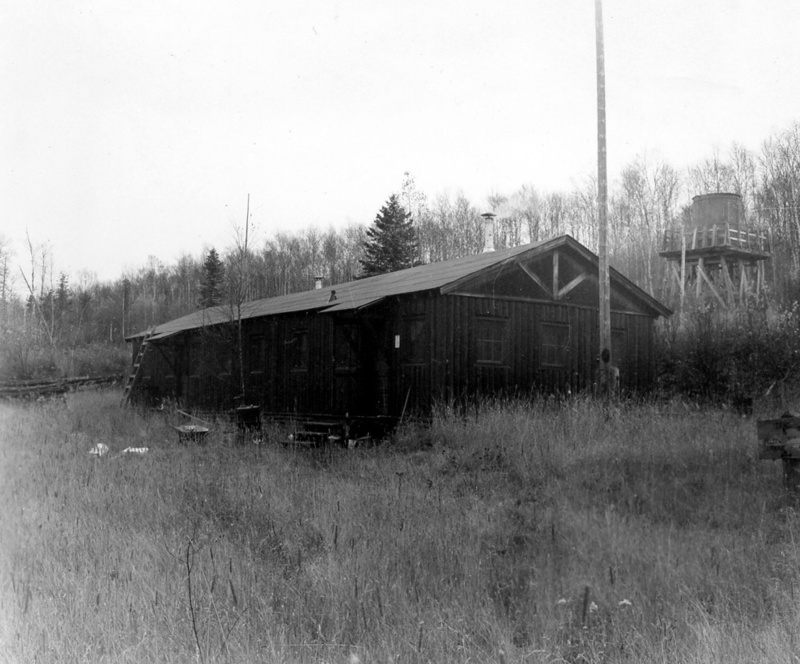 It was then transported to the Windigo site, where it was constructed by the Army. 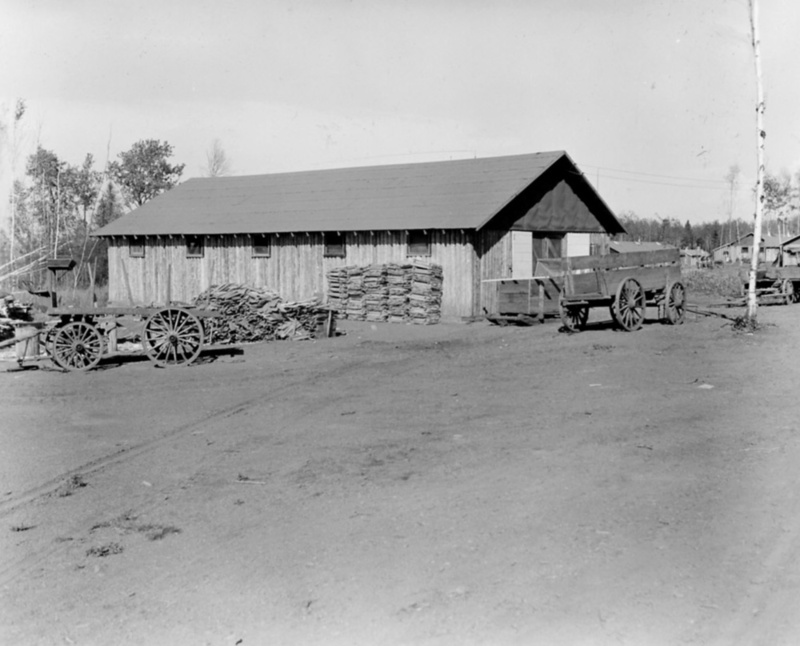 One of the four garages ordered was erected at Windigo (one garage was erected at Rock Harbor, and two were kept in Houghton). 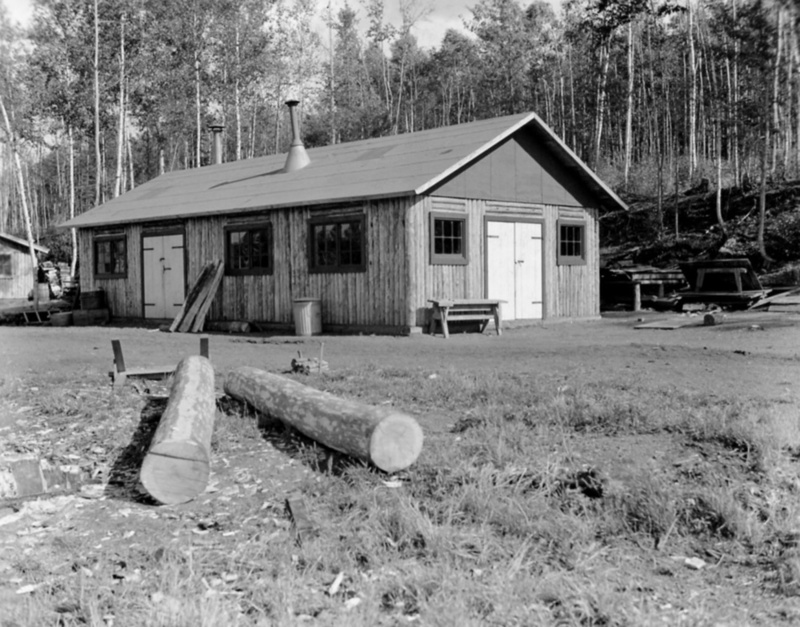 The camp was completed by the end of the 1939 season (November), except for some work on the bath house and water system. 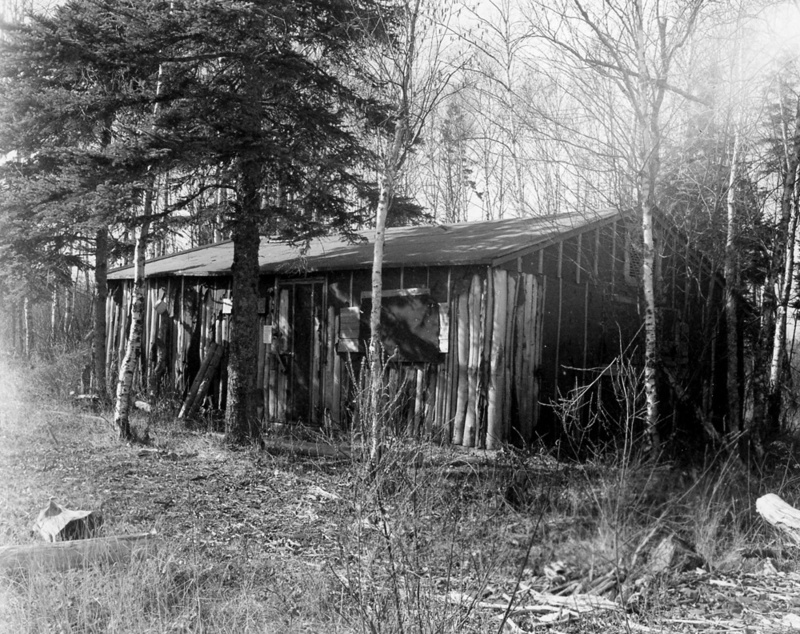 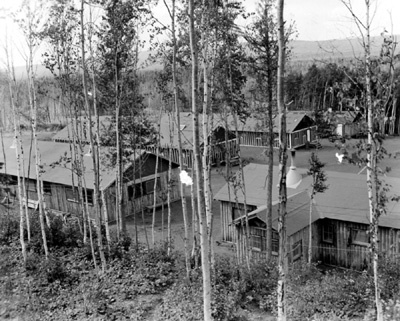 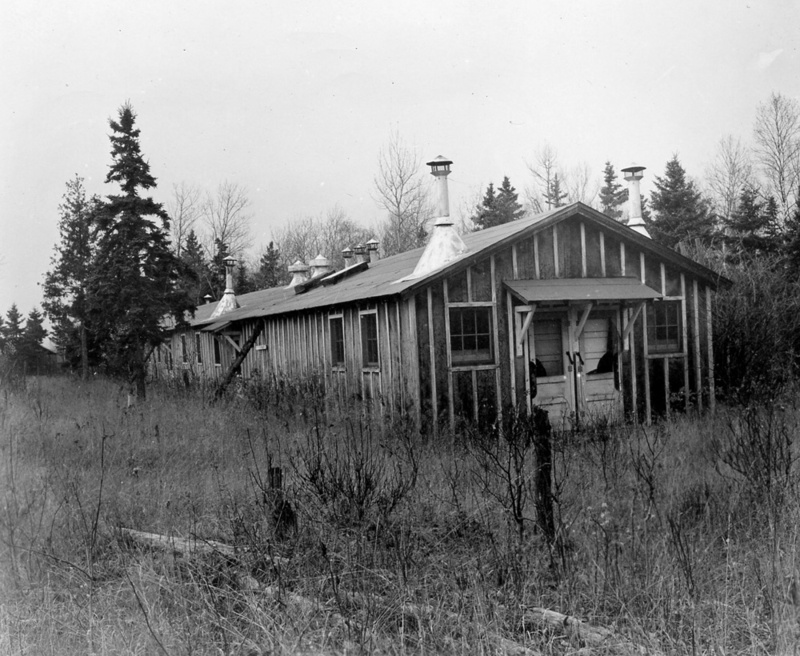 Camp Windigo was occupied in 1940 and 1941. 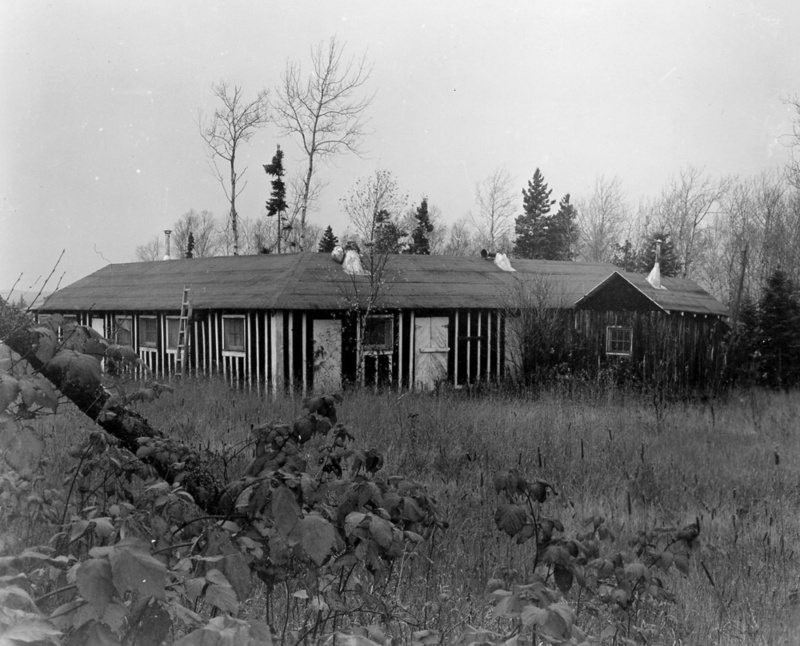 Enrollees remodeled the Washington Club, which was afterwards known as the Windigo Inn. 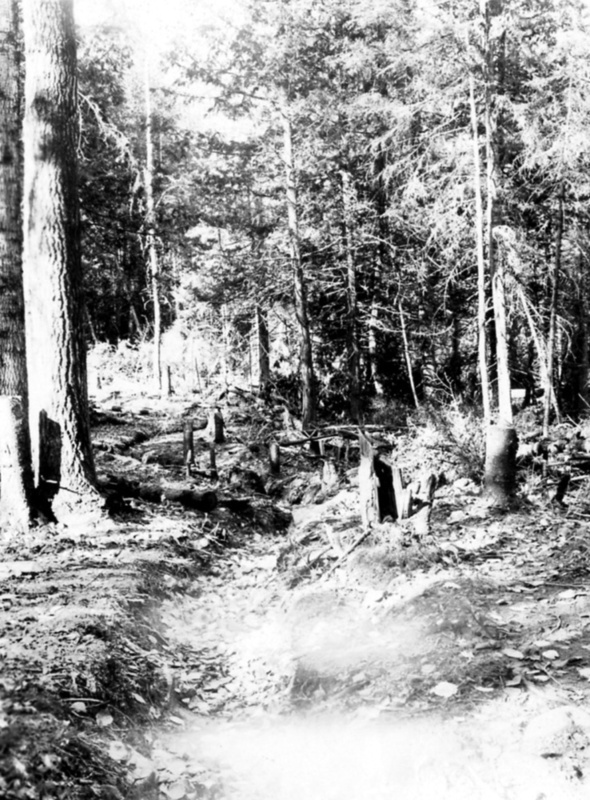 They also created a trail that connected Siskiwit Bay with Windigo, by utilizing the abandoned mining road that led up to Island Mine-one that had been in use by trappers and the fishermen from the Washington Harbor Club for years-and then added a connecting path to the old Wendigo Mine Road. 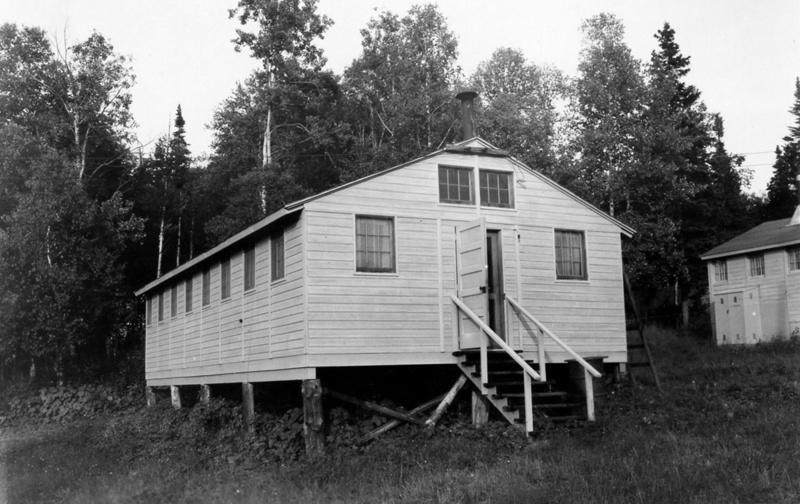 The recruits also built a ski patrol cabin and a dock. 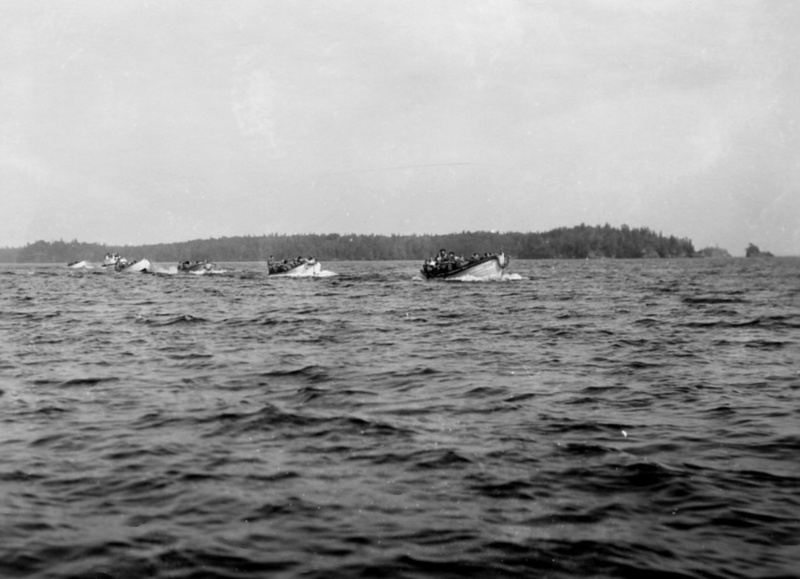 Isle Royale officially became a national park on April 3 1940, after the Secretary of the Interior had accepted the deeds to all lands on the island on behalf of the United States from the Isle Royale National Park Commission. 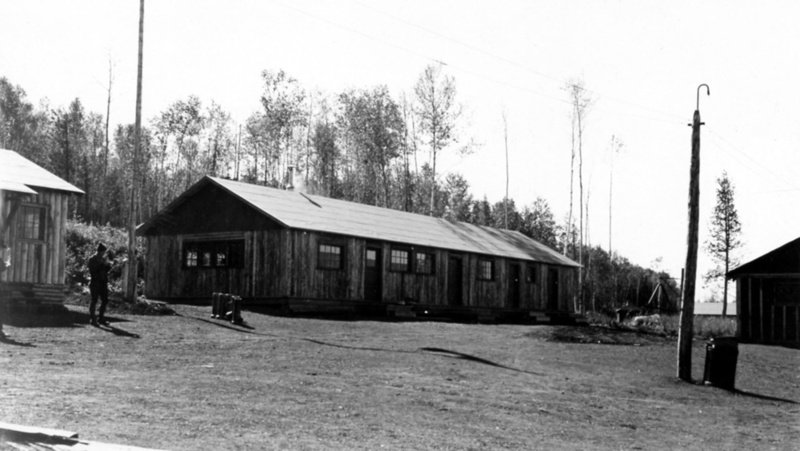 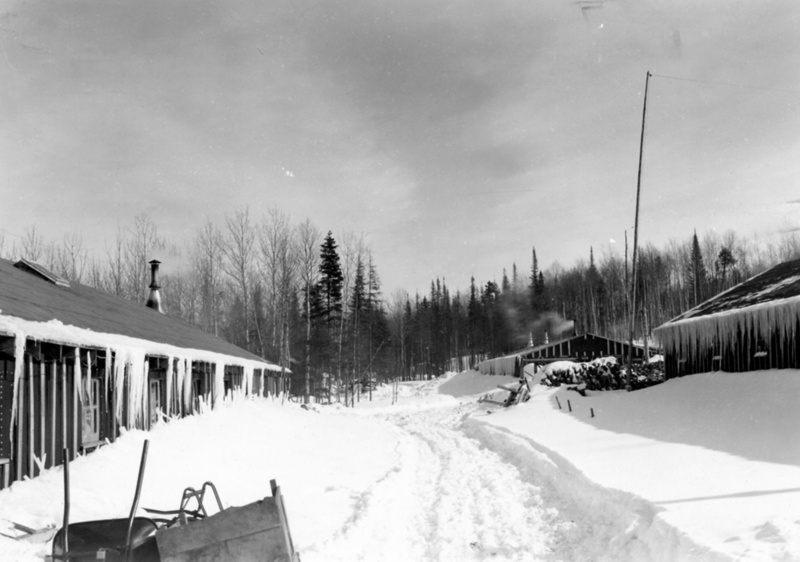 At the end of the 1940 season Camp Siskiwit was disbanded, and in September 1941 the last CCC enrollees left the island when both Camp Rock Harbor and Camp Windigo closed. 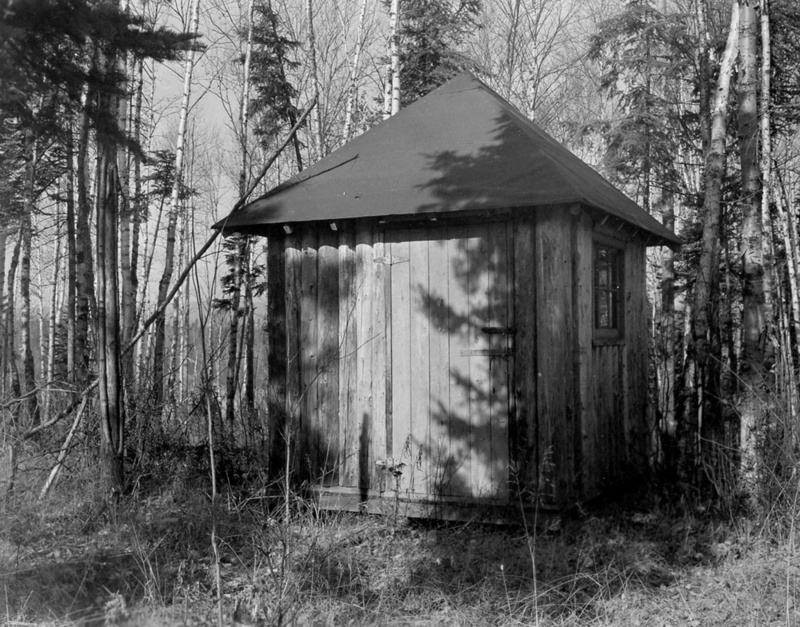 Franks, Kathryn E. and Arnold R. Alanen, 1999. 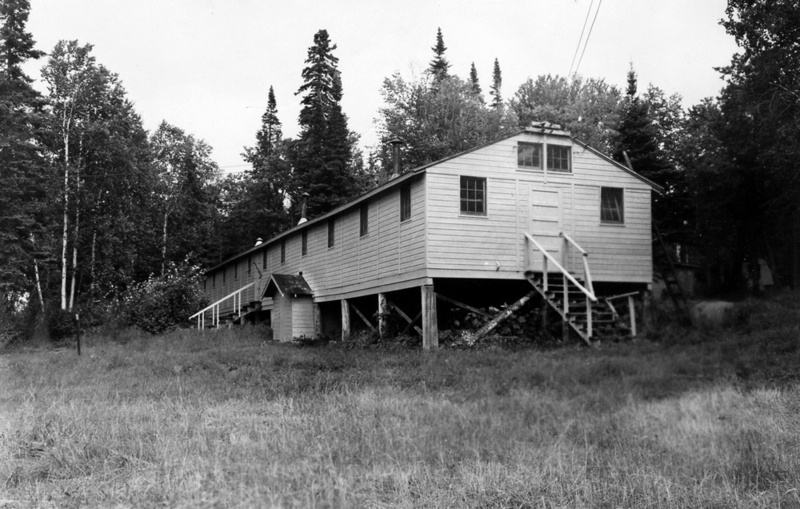 Historic Structures at Isle Royale National Park: Historic Contexts and Associated Property Types. 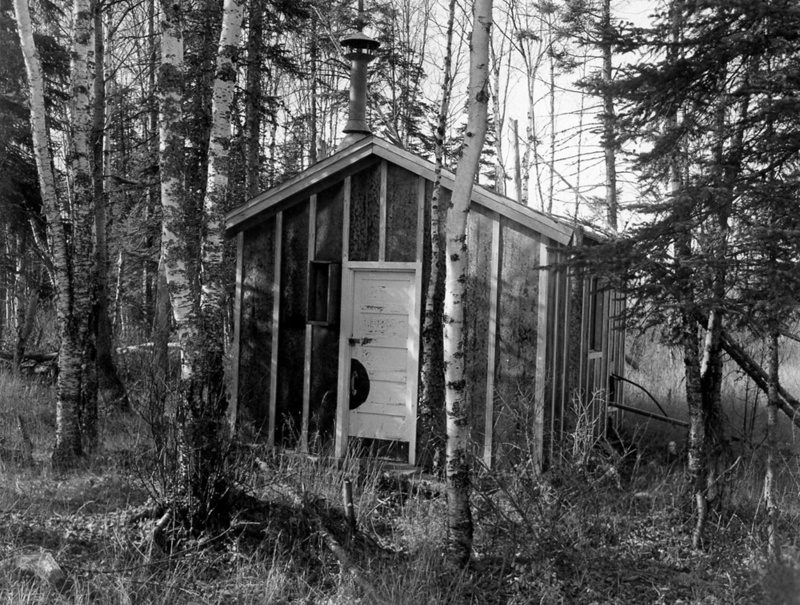 Department of Landscape Architecture, University of Wisconsin-Madison, January 1999.